Windows on ARM = Netbook Revival? What Netbook Did You Own? 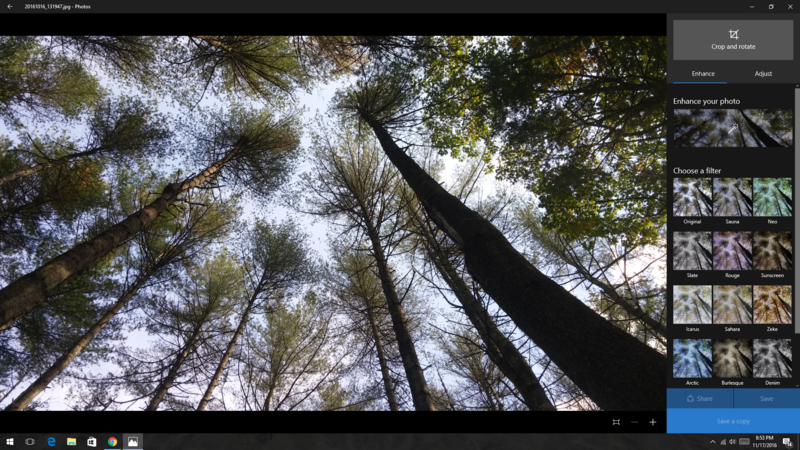 Tutorial (Advanced) – How to enable a second visual style in Windows 10! What MP3 Player did you use? 10 Signs the Apple Ship is Sinking! 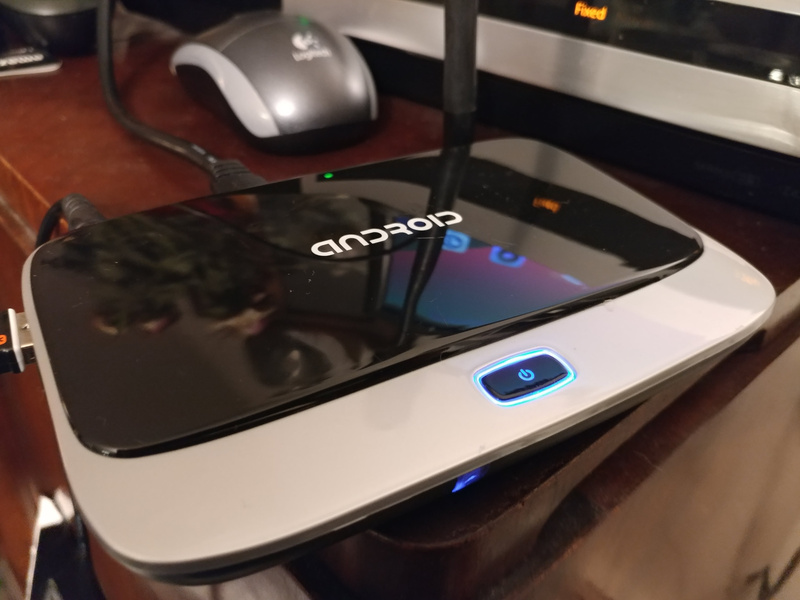 Could you live only on…..
$4.00 Android Mini Computer Review! What tech do you regret buying? On this day – Windows 8 Released! 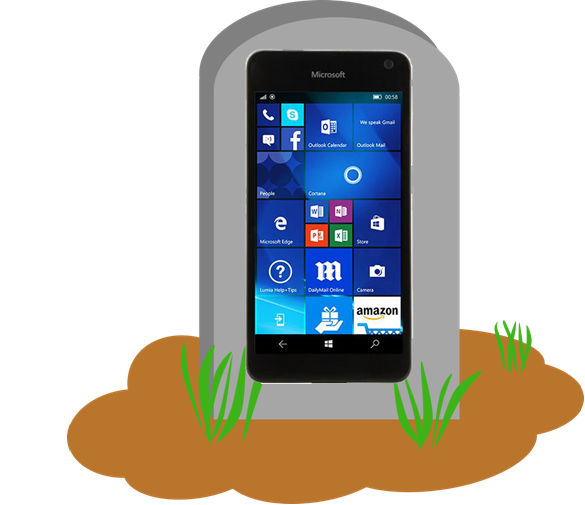 Rest in Peace Windows Phone! The biggest reason Microsoft should NOT give up on Windows Phone. Windows 7 was released, nearly 10 years ago. Since then, Microsoft has released 3 operating systems, Windows 8, 8.1 and 10. 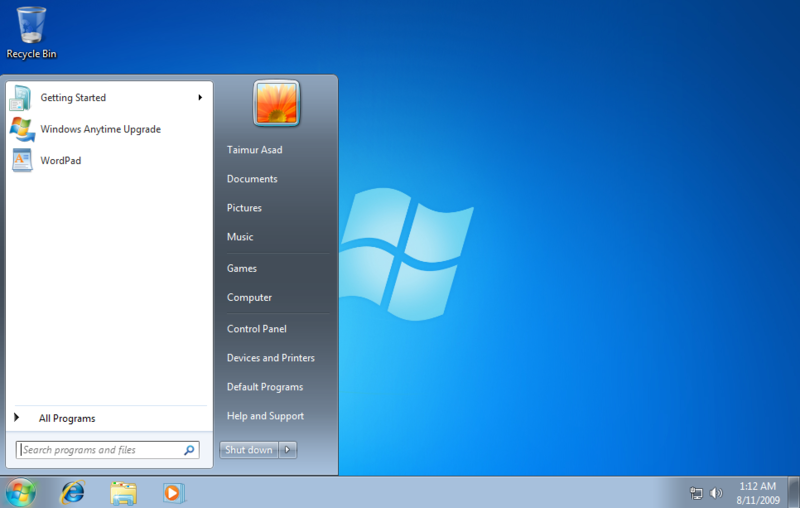 Yesterday, I clean installed Windows 7 on a netbook with only 1GB of RAM and a Intel Atom N455. 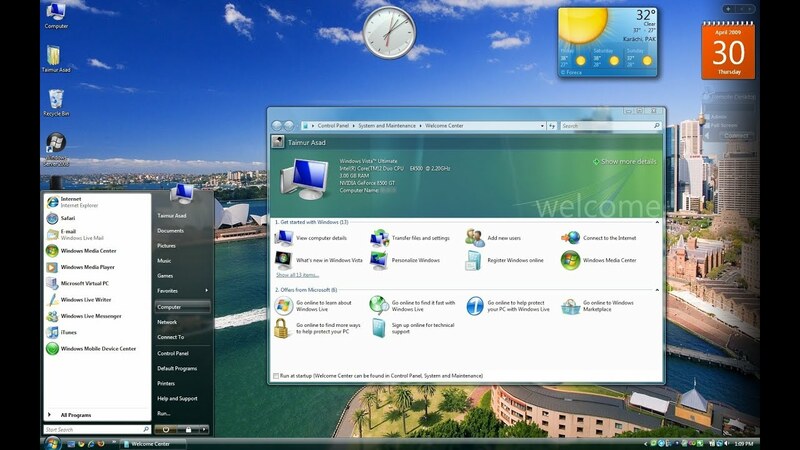 Above: Screenshot of Windows 7 Starter from Google Images. First, I had to find the Windows 7 32 Bit ISO and download it from heidoc. After downloading, because the netbook had Windows 7 starter. I had to then, strip out the Ei.CFG file. 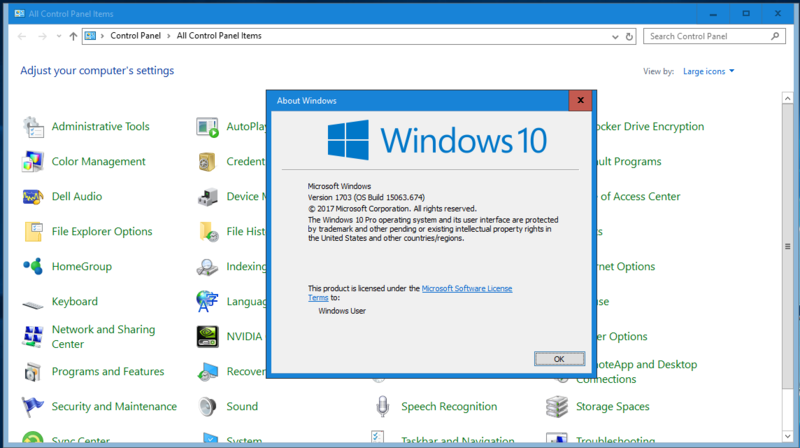 This essentially now created a universal Windows 7 ISO. Now, onto installing Windows 7. 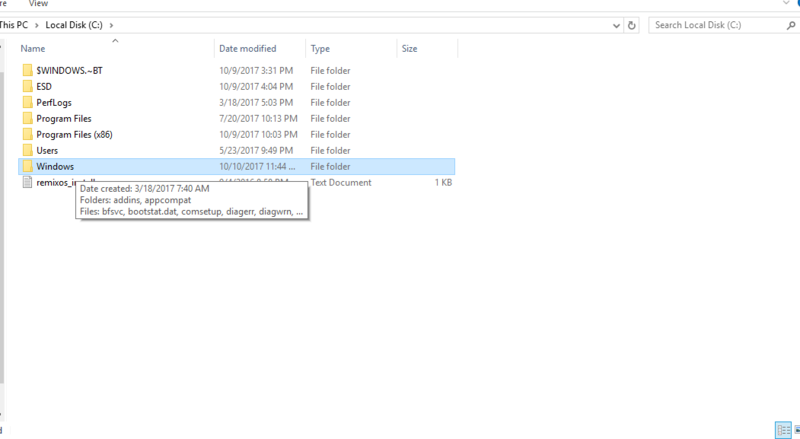 I used Rufus to burn the files onto a USB. After about 10 minutes, I stuck the USB into the netbook, and installed Windows 7. This was the easy part of everything. After getting to the desktop, I had to install a series of servicing updates, to get Windows 7 to actually update. 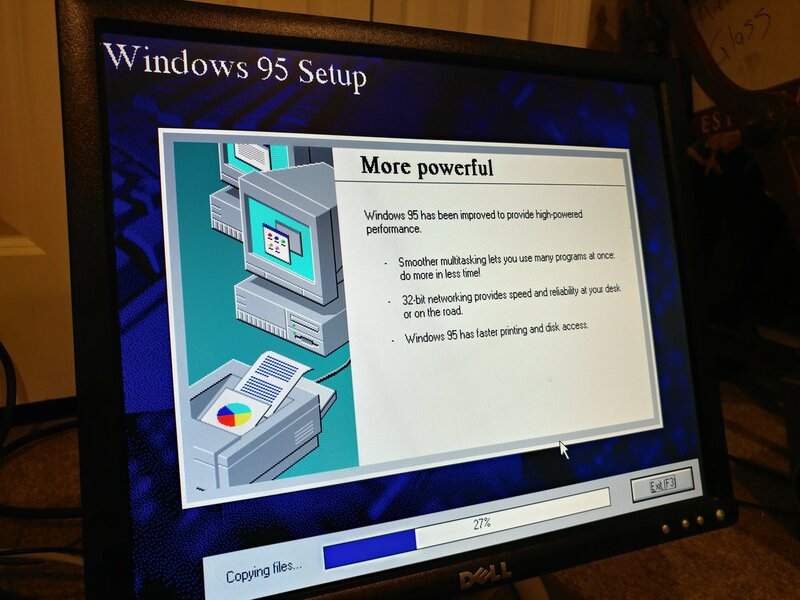 40 minutes later, all the updates were installed, and then onto installing the drivers. Unlike Windows 10, that installs all the drivers automatically, I had to install each driver on the netbook, manually. This took several minutes and restarts. Finally after getting all of this completed. I had to download and install an additional 500+ MB of updates through Windows update. Although, Windows 7 was a excellent, rock solid version of Windows back then. It is honestly, not worth reinstalling now, unless you absolutely have to (older hardware, software etc). Additionally, Windows 7 extended support officially ends on January 14th 2020. 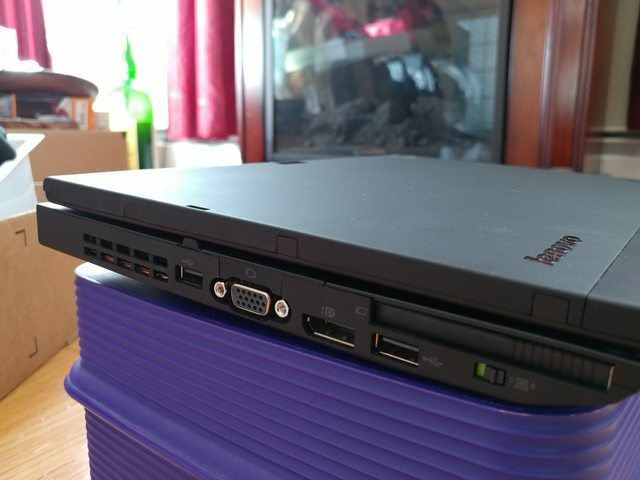 What netbook did you own back then (if you had one)? 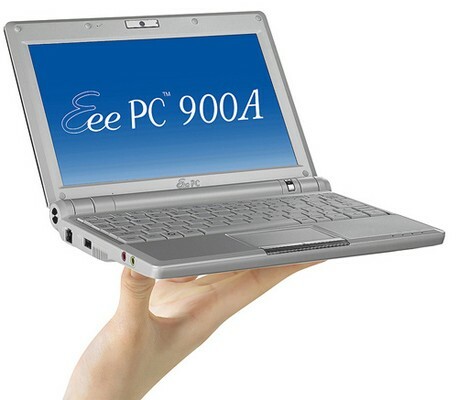 I had a pearl white, Asus EeePC 900A. It was a great (fun) little netbook, and ran Eeebuntu Linux. 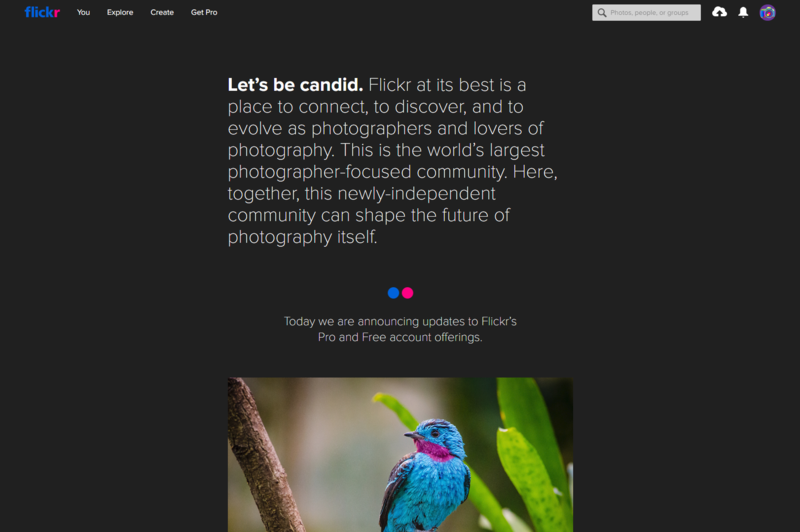 Just recently, Flickr has announced major updates to their membership. 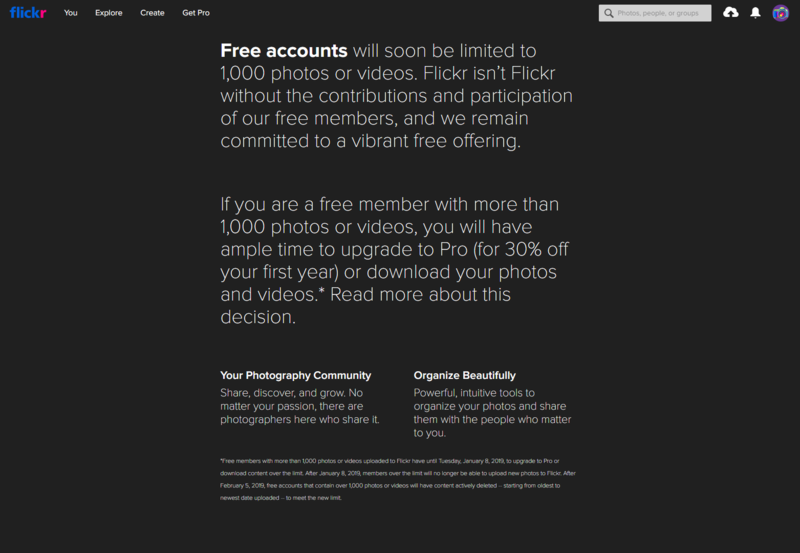 Starting on January 8th, 2019, free users will have to pay a yearly subscription for Pro, to keep unlimited photos. Free users, will have only a 1000 photo limit. On February 5th, 2019, Flickr will delete Free user’s photos, that exceed the 1000 photo limit. Here are the details below. 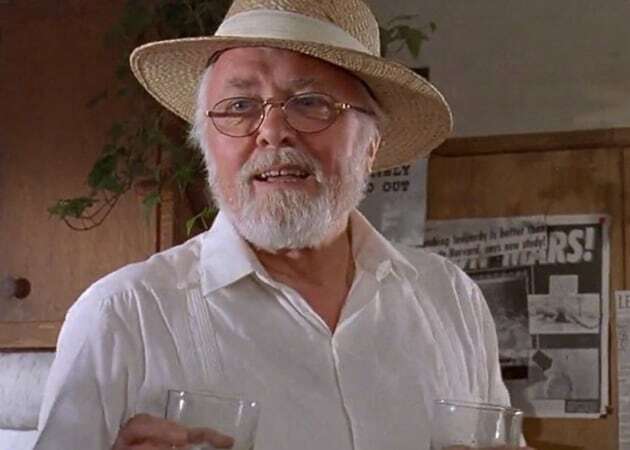 The past few weeks, hearing about the quality control issues, with Windows 10 updates. I decided to try Windows 8.1 again, on an old Core 2 Duo laptop I have. 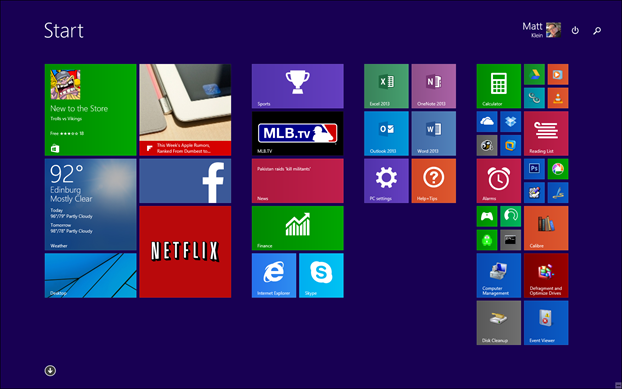 Windows 8, is the modern Windows, people have generally shunned for it’s dueling UI. 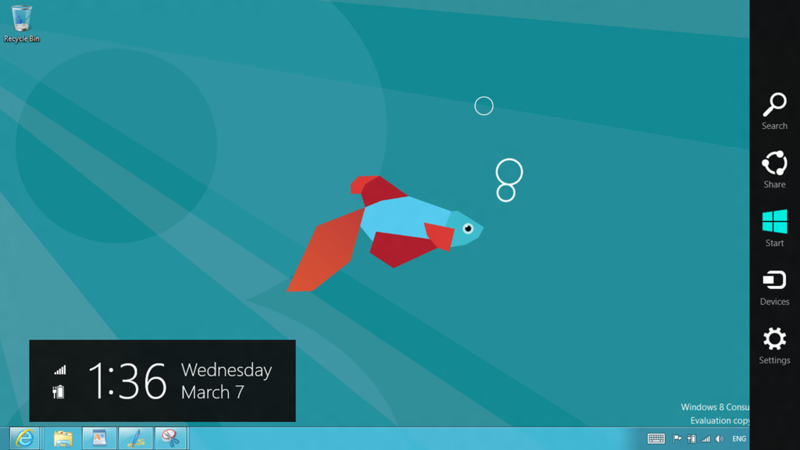 Windows 8 is not perfect in the UI, but definitely makes up, under the hood! 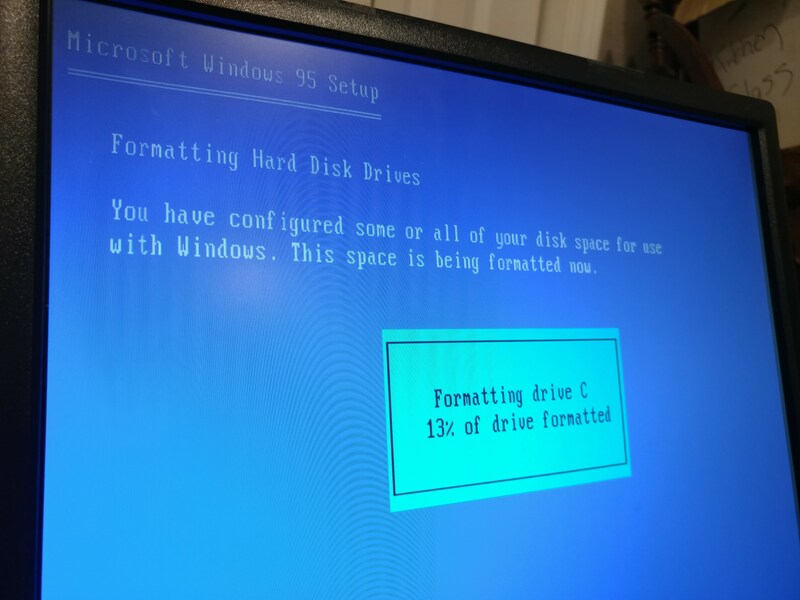 After painstakingly installing Windows 8.1, for 20 minutes, formatting the hard drive, entering the product key, and then waiting through the changing colors. I was actually pleasantly surprised, how not bad Windows 8.1 is. Sure, it has the start screen, and some of the desktop elements are dated, like the clock and the calculator. It behaves, just like Windows 10 currently does. Windows 8.1, boots up very fast, it has built in anti-virus, it is very stable, and generally fast. The only downsides with Windows 8.1, is obviously the start screen, and missing the modern UI elements like the clock, and others. Generally, going back to Windows 8.1, is truly not a bad experience. I actually like the start screen now, more than I did, back then. 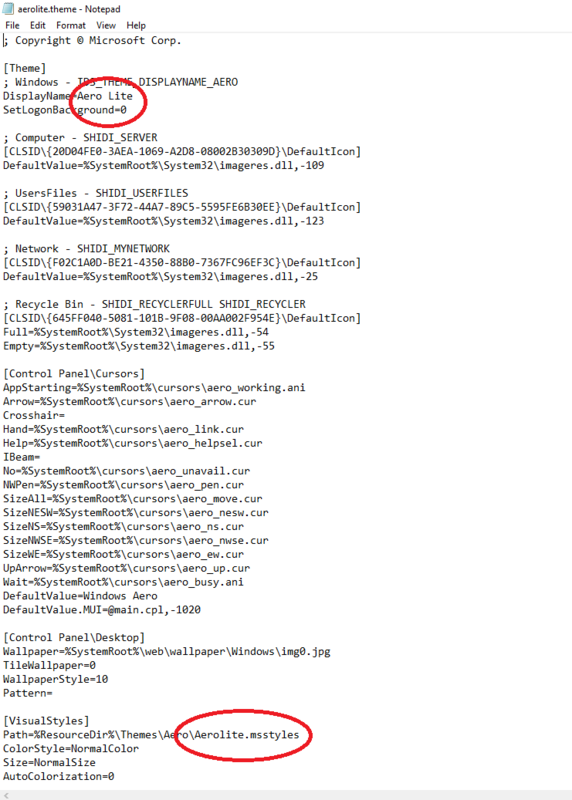 Windows 8.1 did not install the drivers, as smoothly at Windows 10 does. Overall, it is a pretty good experience. 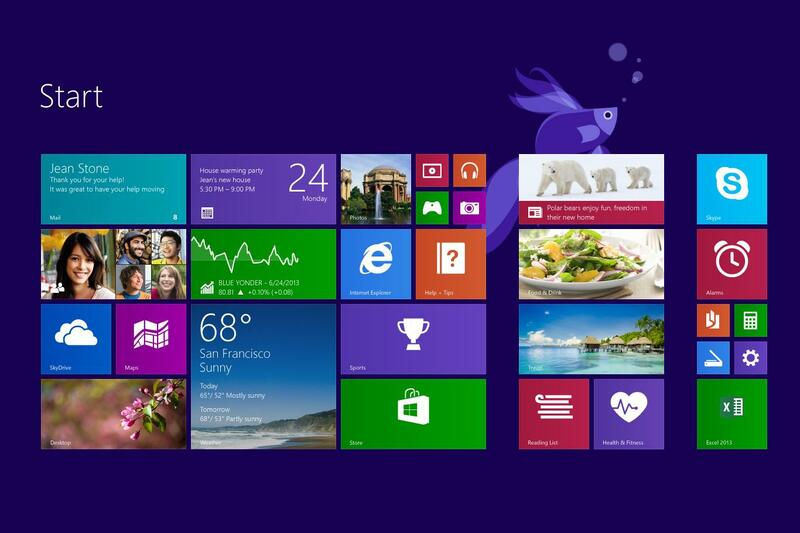 What are your thoughts on Windows 8.1? 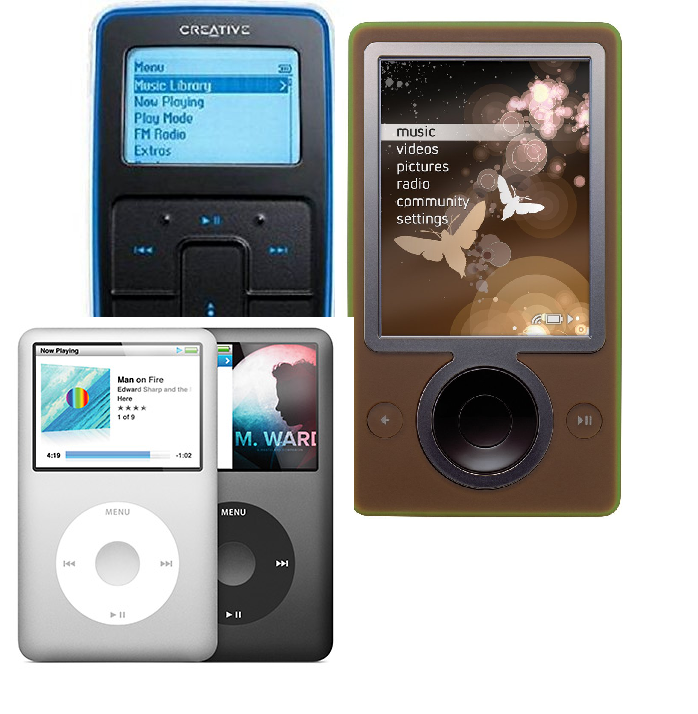 What MP3 player(s), did everyone use back then? I had the original Zune, and a cheap Philips Mp3 player. 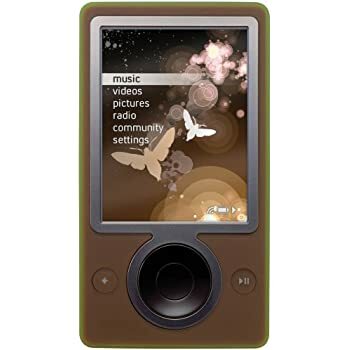 The Zune was a superb MP3 player, with so many great features. Some of the best features were the display, the modern interface, the built in FM radio, and much more! I also currently possess the original iPod classic, Sandisk Sansa, and the Zune. Now, they unfortunately all sit in my desk. My phone has taken over all the duties now. Albeit, I do use both the Zune and the iPod Classic on occasions. Recently, I bought used Samsung Chromebook plus, to both use as a second laptop, and also try out Chrome OS. 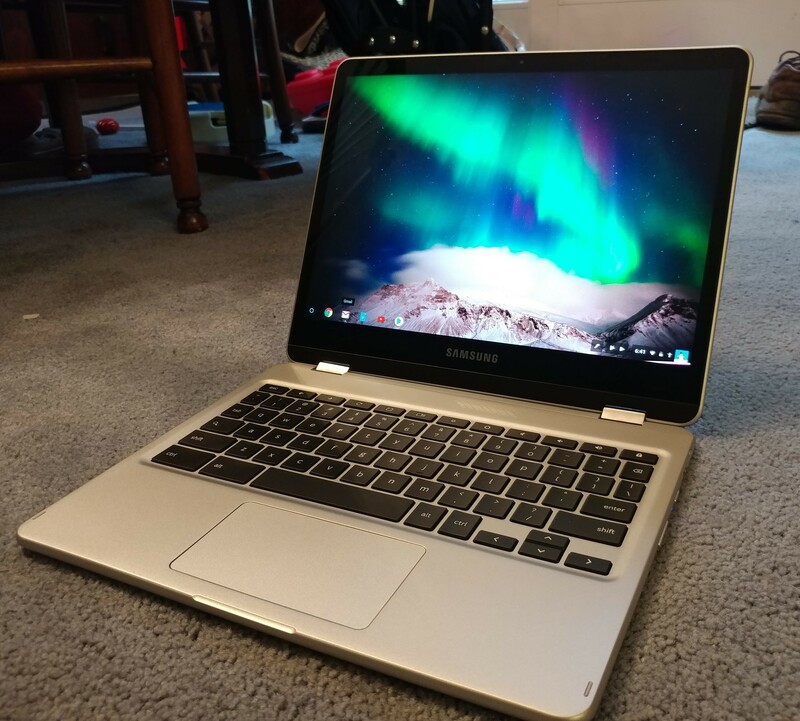 It is a beautiful, thin and light Chromebook. The Samsung Chromebook Plus, is a Yoga style, convertible laptop. It comes with a pen. It is very thin and light. 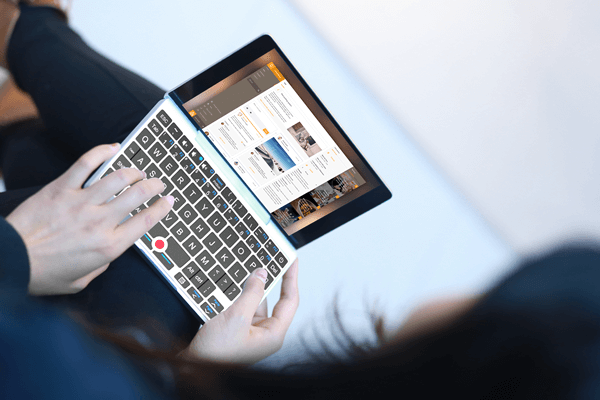 It can be held as a tablet, and on your lap as a laptop. It is about the same size as a Dell XPS 13. It features a beautiful silver, metal finish. The Samsung Chromebook Plus, is reminiscent of a Macbook, slightly. The Chromebook Plus is very snappy! It features an Hexa-core OP1 Arm Processor, 4GB of RAM, and 32GB of storage. Apps and web content run, very nicely. The battery life is very good, and can get 8 hours (depending on use) . The Samsung Chromebook Plus, features a beautiful 3:2 2400×1600, retina like, touch display. Images and videos look beautiful, as well as web content and apps. The Chromebook Plus features a MicroSD port, headphone port, 2 USB-C ports, and a removable pen. There is no regular, full sized USB ports. The keyboard, is no Thinkpad keyboard, but it is good enough for typing a few sentences. The trackpad is pretty decent and responsive. It isn’t near the level of a ThinkPad or Macbook. 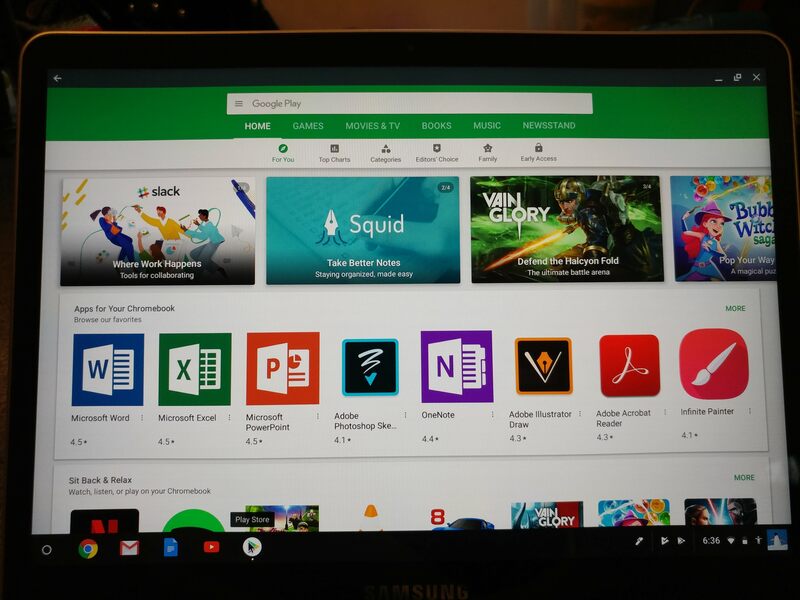 The Samsung Chromebook Plus, runs Chrome OS with Android apps. It is not Windows or Mac. It can get alot of things done, to an extent, like word processing or light photo editing. It can play tons of different games, and run an ocean of apps. You can install, all the Microsoft apps, and turn this into a pseudo Windows device. 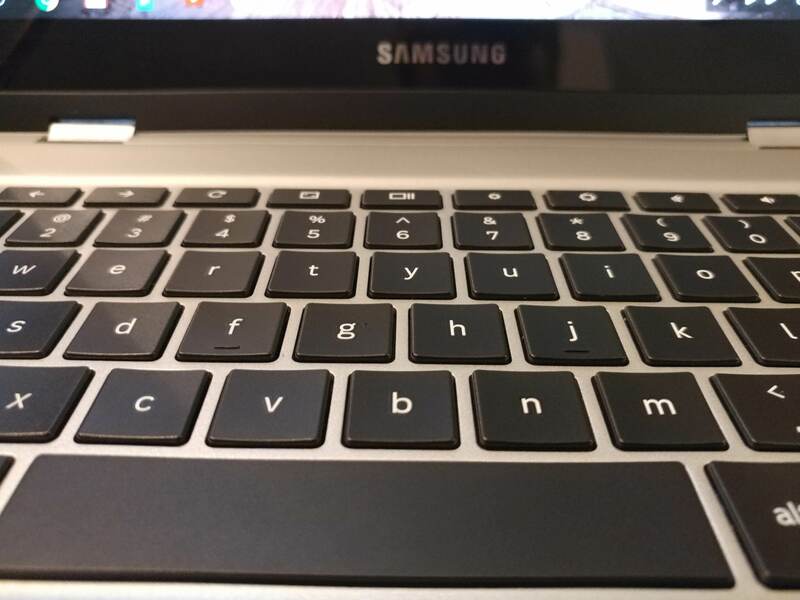 The Samsung Chromebook Plus, is a superb Chromebook. If you are looking for a second laptop, and don’t mind leaving Windows or Mac behind. I highly recommend this! For anyone who uses Windows 7 still. What are your experiences in 2018, and also rationale for using it? Me: I no longer use Windows 7, but my father does. It works pretty well for him, on his old Dell XPS 9100. For anyone who owns and uses a Microsoft Surface 3 (not Pro). What is your experiences so far? It is a great tablet, with a beautiful display and excellent portability. 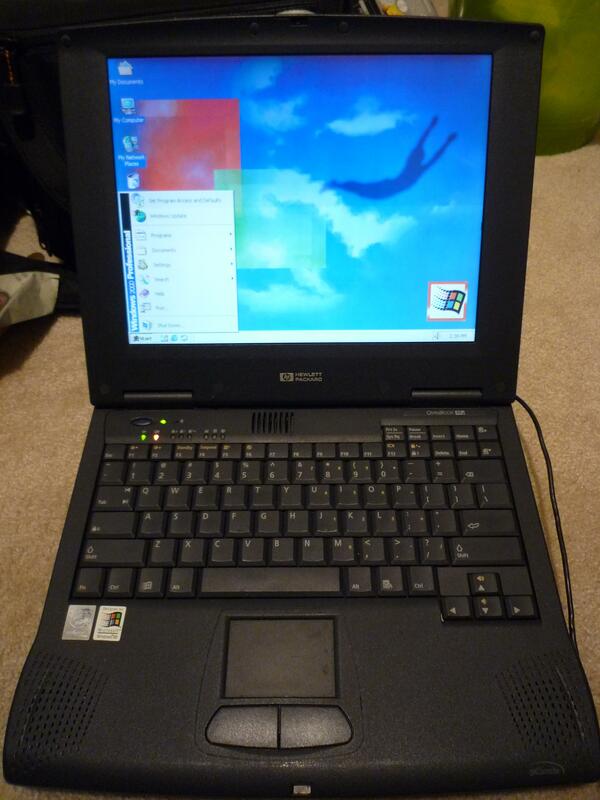 However, the experience reminds me of the Compaq Evo N620C I had. It is pretty sluggish, most of the time. 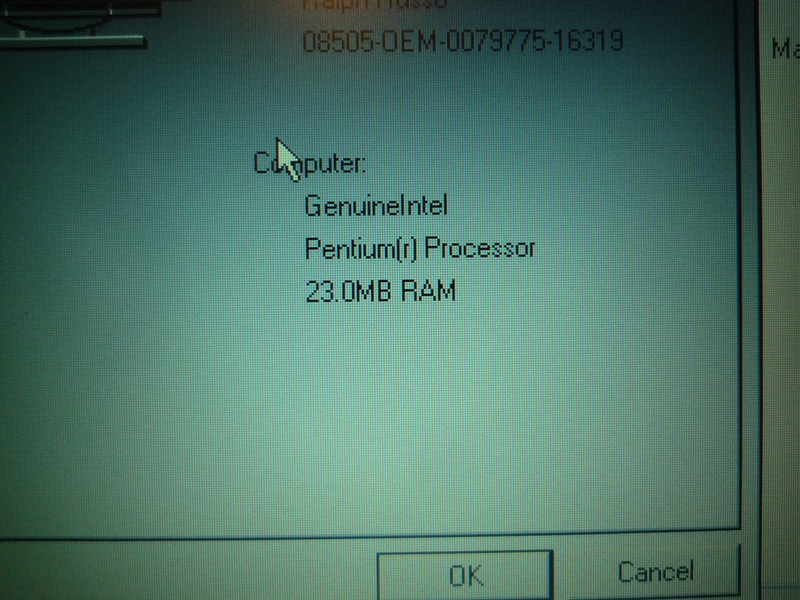 I say, the processor is like a old Pentium M. This is just my experience. I may need to do a Windows reset! Online shopping is usually a fun, safe and trustworthy experience. Except, the other day, I received an email from Newegg, that read, I had owed sales tax from 2015. This is a result, from CT aggressively going after unpaid out of state, sales tax. Amazon, usually charges a sales tax right at check out for my state. 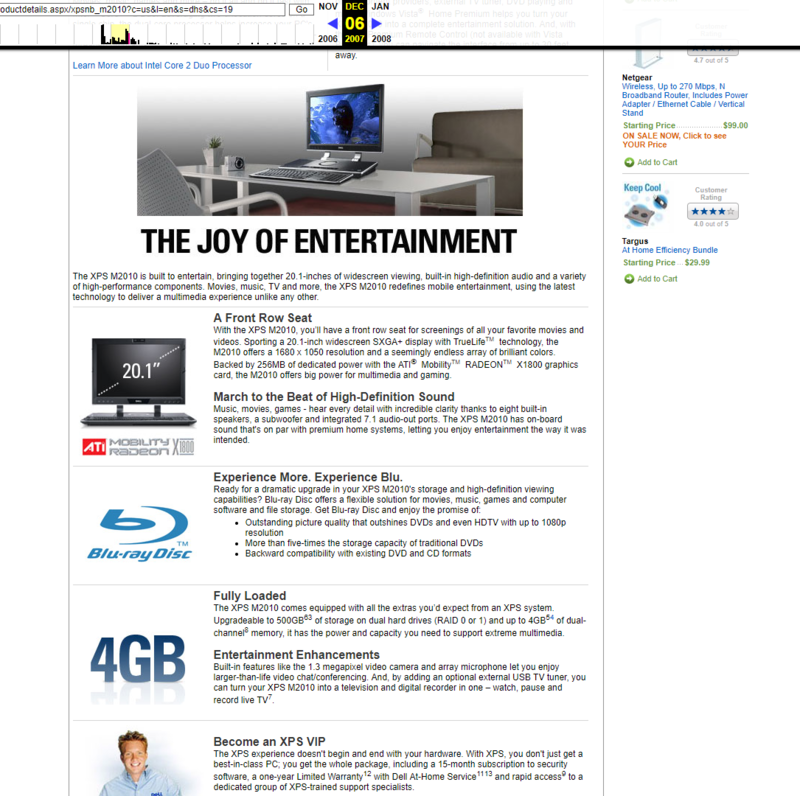 However, Newegg charges no sales tax, as they don’t have a physical presence here. If you live in CT, you’re supposed to now, know to file a “Use Tax” with every purchase you make. 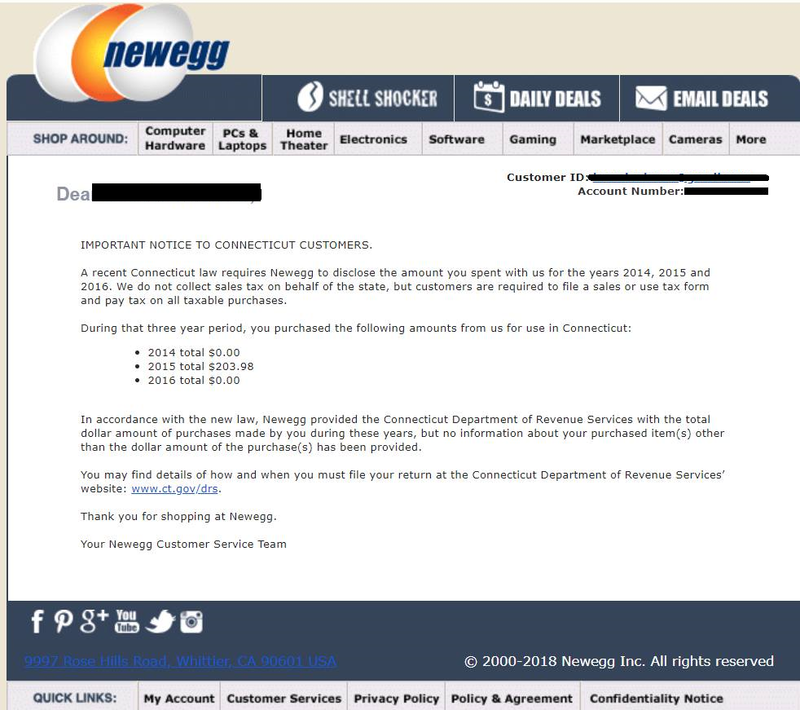 Newegg went behind my back, and handed my personal details to CT, about the purchases I made. This is a massive, betrayal of trust! If you live in CT or anywhere, buy elsewhere like Amazon. I advise, deleting your Newegg account all together! Hello, I have a Surface 3 with 4GB of RAM. It's been a great Windows tablet, however, the performance lately has been bad. For instance, it has been choking during basic web browsing. Are there any performance tweaks, that can be made within Windows? Such as, turning off animations or transparency? Would it be better to reinstall Windows from scratch? A few days ago, I bought a used, Dell Latitude E7370 business ultrabook. 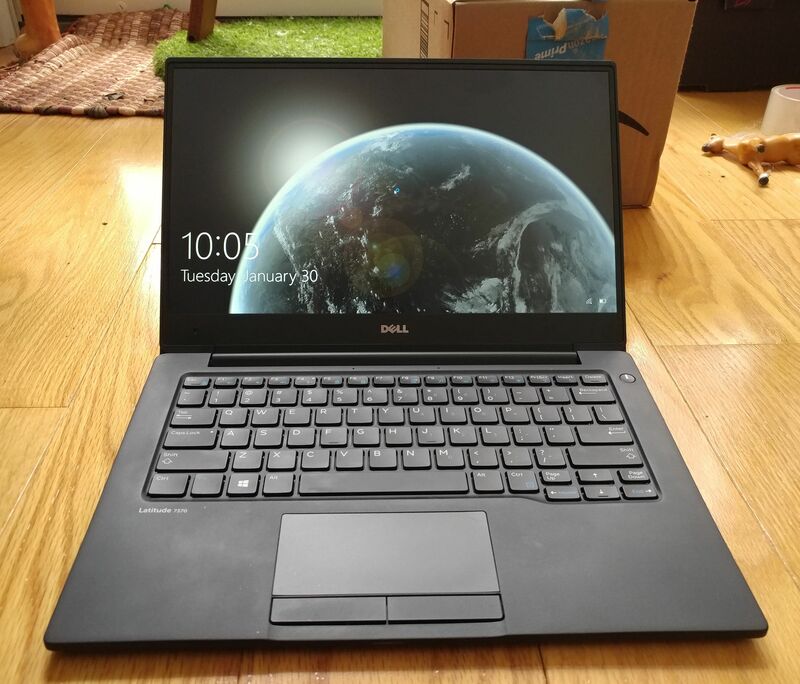 It is basically the sister of the Dell XPS 13, and is a gorgeous lightweight laptop. 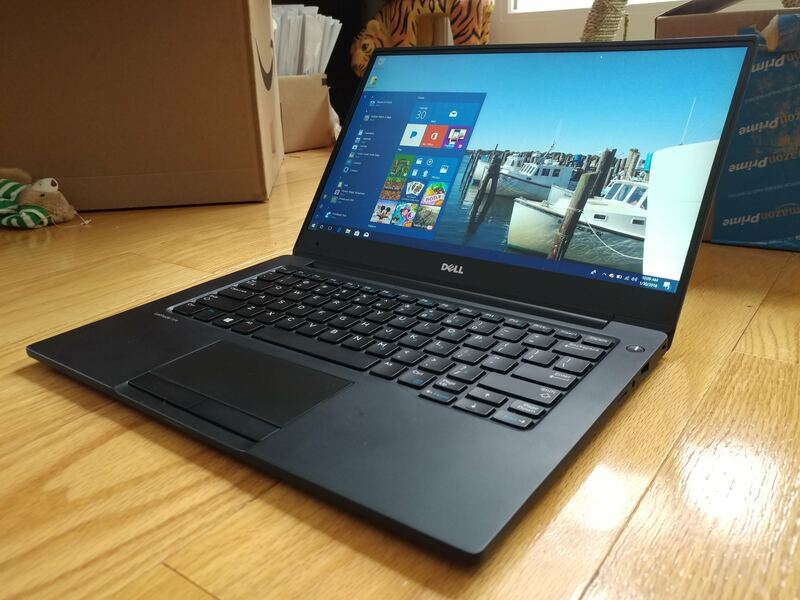 The Dell Latitude E7370 is a beautiful, slim ultrabook, and lightweight too. It came with two options, a carbon or a Macbook-esque metal finish. My model has the metal finish, and it is really nice. The body of the laptop is made of high quality materials and feels very sturdy. The laptop is a featherweight machine, and is effortless to pick up. Unlike the Dell XPS 13, this model has no fan, because of the Intel M5 chip, and makes it very lap-able. 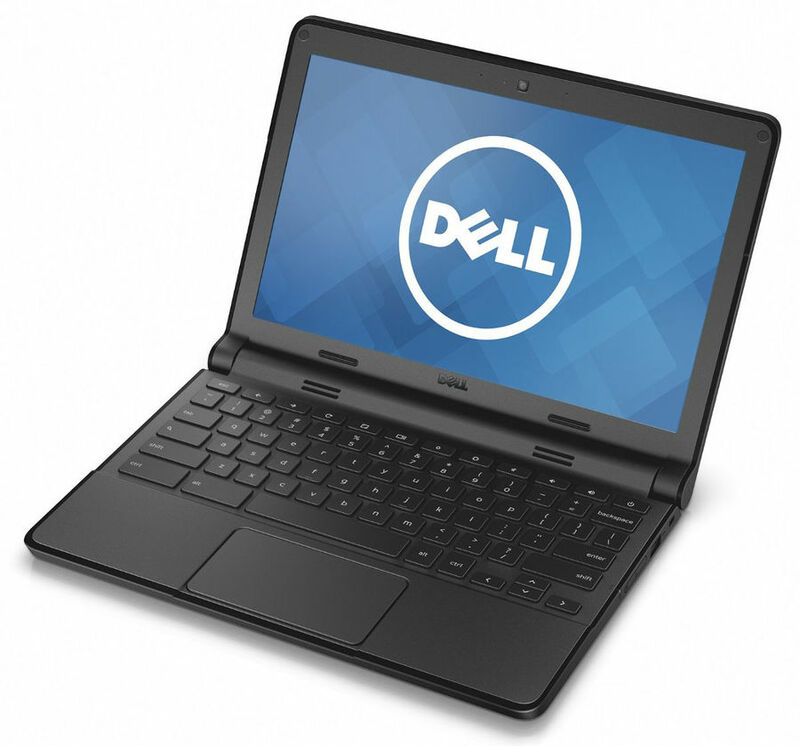 The Dell Latitude I have features a Intel M5-6Y54 processor, 8GB of RAM, and a 128GB SSD. The performance, is very good, and seems comprabable to the Intel I5-5300 in my Thinkpad X1 carbon. I haven’t yet tried video editing or photo editing. I am sure those will be fine. All other tasks on the Intel M5, are a breeze. 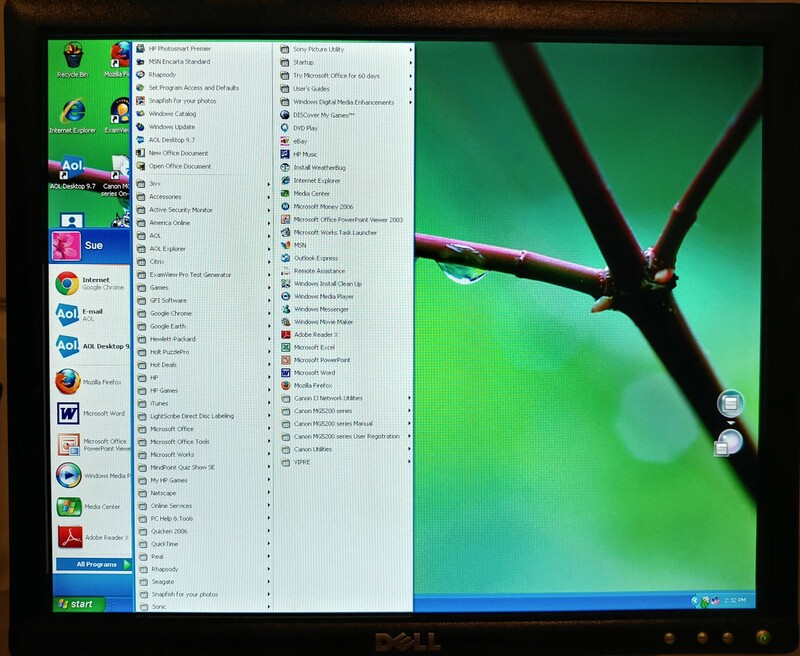 My Dell Latitude E7370, has a beautiful edgeless, 1920 x 1980 display and is an IPS panel. It looks really sharp and beautiful. The E7370 also comes with a 4K display with touch also. The keyboard on the E7370 is actually very nice to type on. It has very good key travel. The keyboard is slightly tight, and takes time getting used to, especially coming from a Thinkpad keyboard. 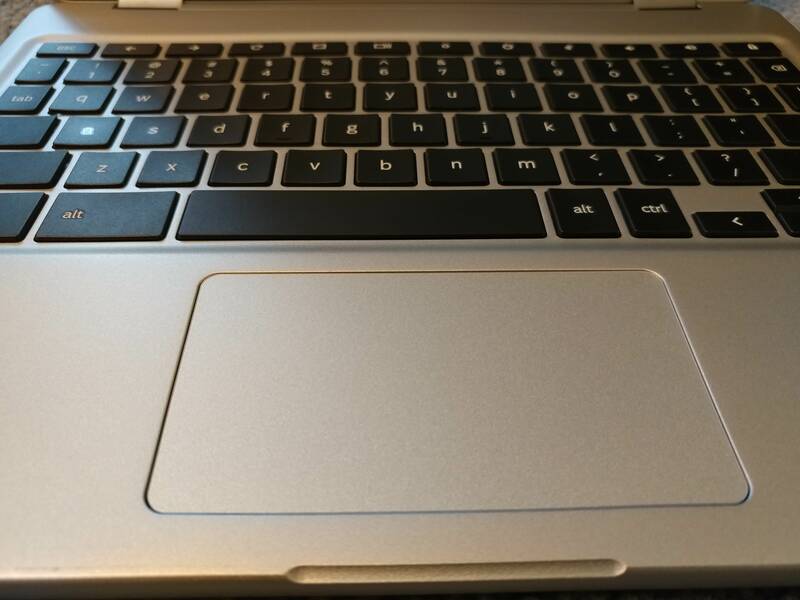 The trackpad on the E7370, is really good, and precise. It is comparable to my Thinkpad X1’s trackpad. The E7370 does have physical buttons, which I appreciate highly. The E7370 has lots of ports. It has two USB-C, one to charge the laptop. It has a regular USB port, audio, HDMI, and MicroSD slot. It doesn’t feel lacking in this department. 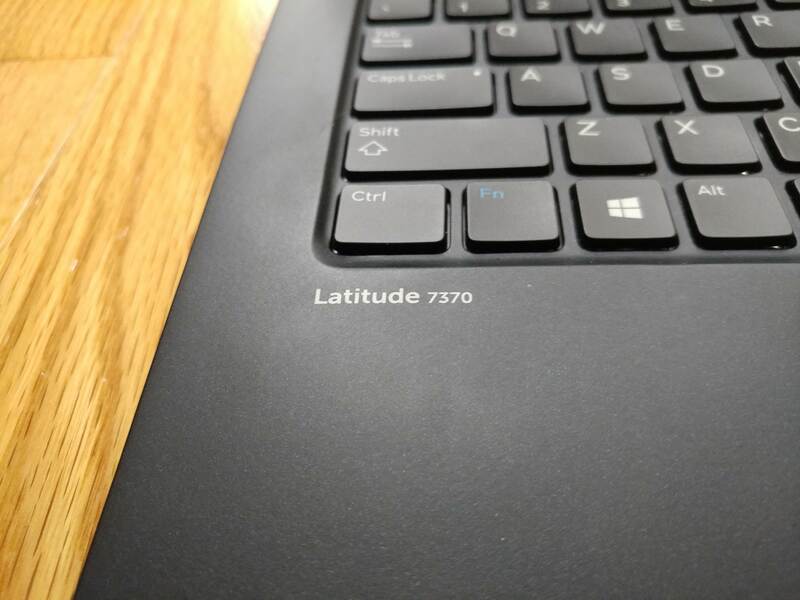 The Dell Latitude E7370 is very portable, and lightweight. It’s equally as light as a Thinkpad X1 carbon, weighing 2.7Lbs. The E7370 has the webcam, placed on the bottom of the sceeen, and is only 720P. If you regularly use Skype, this may not be the best machine. The speakers in the E7370 sound alright, but not the best. So far the battery life is pretty good. It has lasted several hours. 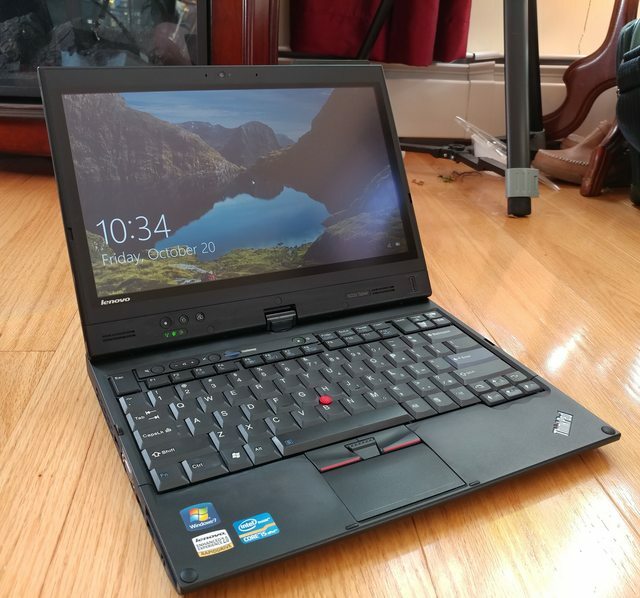 It isn’t as good as Thinkpad X1, but is good enough for traveling, business or college work. 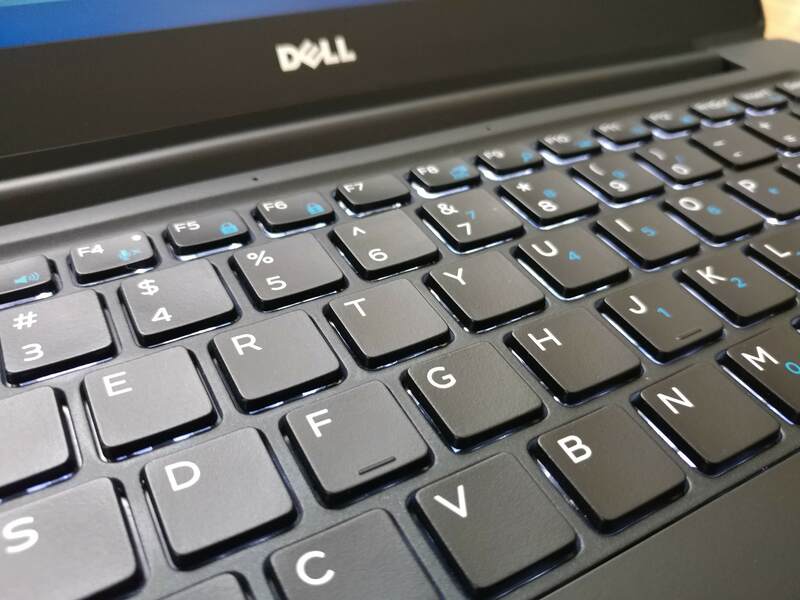 The Dell E7370 is an excellent business ultrabook. It is lightweight, beautiful looking, has a beautiful edgeless display. The performace is decent. If you come across a Dell Latitude E7370 under $500 used, I recommend getting one! Could you live daily, only on your smartphone, if push came to shove? Or, you were literally stuck on an island with only it? Web browsing it would be ok, but very frustrating. Especially, needing to pinch to zoom for many things. Also, having to use mobile friendly websites. Videos, it would be alright, especially with my nearly 6 inch display. I could output videos to a second display through USB- C or Miracast. Gaming: There are lot of fun, well rounded games like Fallout Shelter, Angry Birds, and even a ported Gran Theft Auto Vice City. You can use a controller to play them. However, gaming on a phone, is not nearly as great, as a laptop, desktop or console. Word Processing, PowerPoint, and Excel: With a Bluetooth keyboard, it would be ok. It would definitely be a far cry from using my Windows laptop and desktop. Video Editing and photo editing: There are simple photo and video editing apps, but are woefully inadequate. They are not nearly as feature rich or powerful as premiere or photoshop. Other professional work like web design: Not possible, unless there was a powerful web design app, equalivilant to Dreamweaver. Yesterday, I acquired an interesting little device at Savers thrift store for only $3.99. While shopping, I noticed the Android logo on the top, and an array of ports on the rear. I immediately grabbed it, and bought it. After returning home, I plugged it in, and it worked perfectly. It has Android 4.4.2 installed on it currently. After further research, I found it also has a Quad core processor, and presumably 1-4GB of RAM? It also has 16GB of storage. 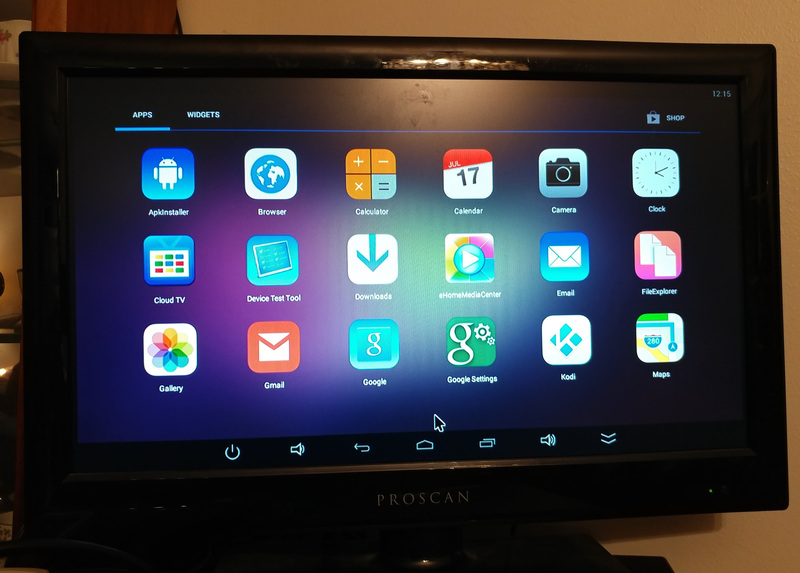 The mini Android PC has a wide variety of apps preinstalled, from Netflix, to Google’s apps, to a file browser. All the apps open up, very quickly, without any hesitation. 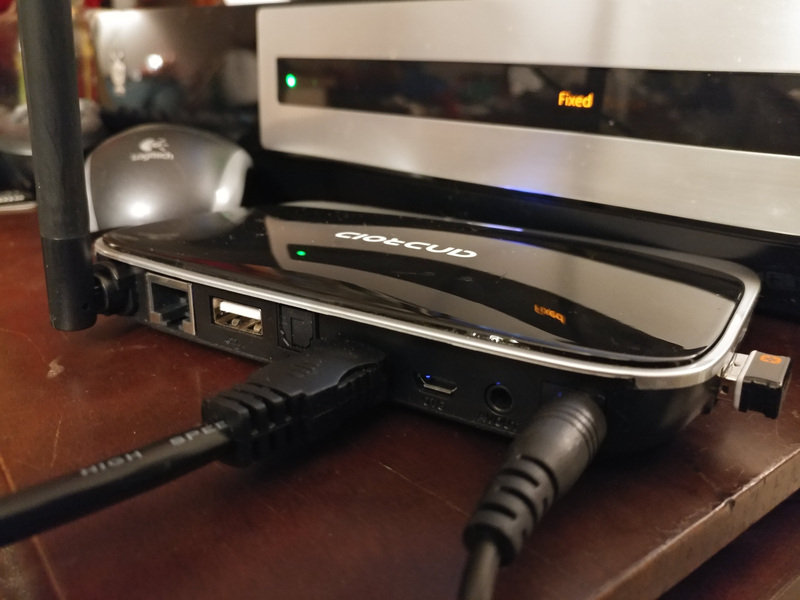 As for ports, it has two USBs, an optical out, AV out, ethernet, another mini USB port, and a HDMI out for TVs or a computer monitor. Performance wise; the little computer is snappy, and fast so far. It boots fairly quick also. Apps like Fallout Shelter run smoothly, and web browsing does as well. For the Design; the little Android PC, is pretty generic looking, with shiny black plastic and matte silver. It is also pretty lightweight too, but doesn’t feel cheap. This Android mini computer I bought, for $4.00, is not bad at all. It can be used for either a media streaming device, or as a second mini PC! Overall, it’s an interesting little machine, with tons of potential! What technology do you regret buying in your life? Me: It was a cheap $200 Emachines laptop on Black Friday in 2009. 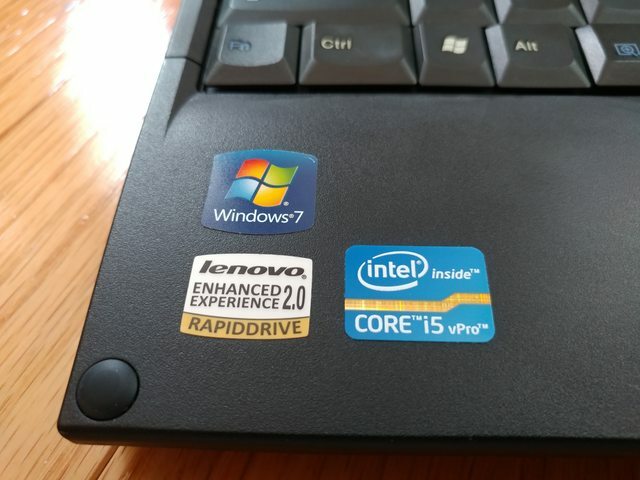 It was a pretty good laptop, but had an awful single core processor. Also, the ports began failing after a couple of years. Over the years, Apple has always been the leader in the innovation. However, lately, Apple has begun faltering in a lot things. Here are the top signs, the "Apple Ship" is sinking. Root, This is a major, absurd flap by Apple, and a one of many cracks forming in their tight ship. Mac OS: Mac OS is stuck in the 2000s with it's dated UI. Many UI elements have not changed in 15 years. It's product lineup. Apple has a frankly lackluster product lineup compared to others. They have the regular iMac, Macbook, iPad, and iPhone. This is the same lineup from 7 years ago. They have not made anything truly revolutionary. The slowing of iPhones. This is definitely a big crack in Apple's ship. To slow down people's phones, without them knowing, is terrible. Isn't iOS a lightweight mobile OS already? Headphone jack. There is no rationale to remove a tried and true IO port on a phone, like the headphone jack. Especially, if the USB C offers the same audio quality. Also, now users have to buy a dongle to charge their phone and listen to music, simultaneously. The iPad Pro. Apple continues to tout the iPad Pro as a PC replacement. Yet, it can't do a lot of the things a Macbook or Windows PC can, like heavy duty tasks. Value and competitiveness of their products. Back in 2007, the iPhone and Macbooks, were like the Mercedes of tech products. A Dell Inspiron felt like a cheap Hyundai Accent in comparison. Now in 2017, there are so many other excellent laptops and smartphones, that really give Apple's bread and butter products, a run for their money! A Matured Chrome OS = Window's (and Mac) Worst Nightmare? Over the years, we only really had two operating systems on PCs, Windows and Mac. Now, we have Chrome OS and Chromebooks, being sold. Chromebooks are pretty good, for casual users. They offer a streamlined, and safe experience, where people can't screw their computers up. Recently, Chromebooks have begun getting Android apps, apart of the operating system. Chrome OS, originally was just a browser based operating system, with the bare necessities, and a file explorer. Now, it is inching closer to something more useful, especially with Android apps. Albeit, Android Apps are still not nearly as sophisticated as desktop Windows programs, yet. Imagine, if Chrome OS further matured, and offered tools, that could be found in Windows? Also, imagine if you could run Adobe Premiere, Lightroom, or Photoshop. If Chrome OS, matures to a point, where it maintains it's fast speed, and also usefulness for power/advanced users. Could Chrome OS and Chromebooks, soon challenge Windows and Mac PCs? 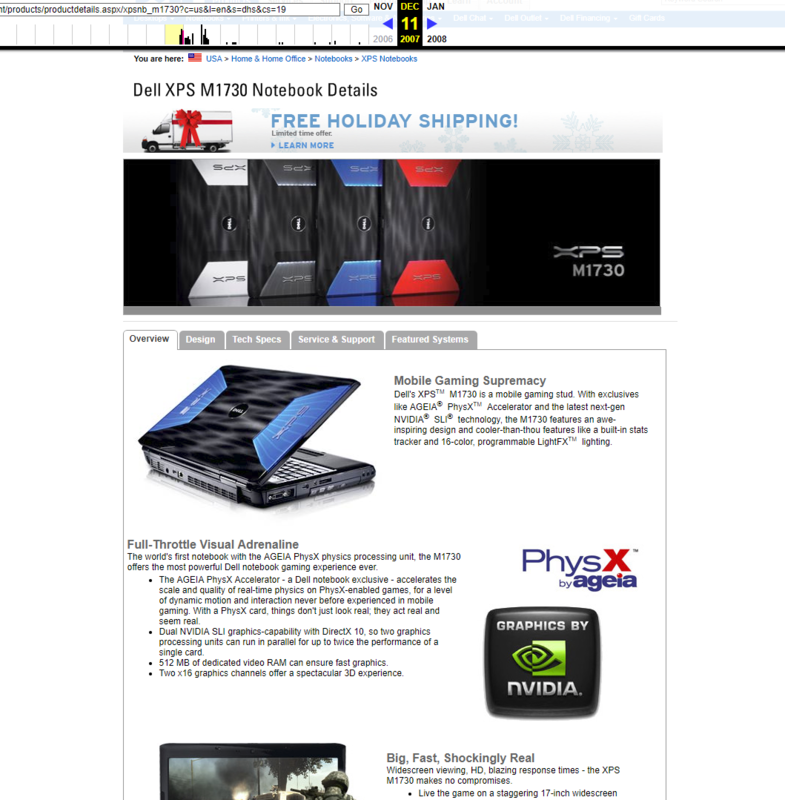 10 years ago, if you were Christmas shopping for a gaming or ultra high end laptop. These are what you could get! Here is one the top of the line, 2007 Dell gaming laptops. These had Windows Vista, that just was released. This laptop (Dell XPS M1730) also could have dual GTX 8700M graphics, which could play Crisis and Fallout 3 later on. This model, is still selling for a pretty penny on Ebay, despite being 10 years old. If you were looking for something, sophisticated and cool in 2007. You could get this, for $2,500. This had a detachable keyboard, a external like display, and a freaking handle, for carrying around! Imagine, bringing one of these into work, or college! Although times have changed quite a bit since 2007. These laptops are pretty nice still! Back in 2009, I had an Asus EeePC 900A, running Eeebuntu. It was an amazingly portable, little laptop. It wasn't a powerful laptop, by any stretch. It's portability, well made up for it. You could fit the EeePC in a glove box or a purse even. Many netbooks back then, were pretty awful for typing on, and many weren't good for a lot of things. Especially due to their small screens, cramped keyboards, tiny track pads, and slow atom processors. However, there were very good netbooks, like the Thinkpad X120E, and the later Asus EeePCs, that improved upon many things. Now, with the new Windows on ARM laptops coming out, that offer 20 hours of battery. Also, 'always on' technology, like we have in our smartphones. Could netbooks make a successful comeback? Would you buy a modern ARM based netbook? I greatly enjoy reading your articles on Thurrott.com. I noticed an uptick in premium articles recently. Will all articles in the future, be premium-tized, this frequently? Especially a bout noteworthy subjects like this below? 10 years ago, 2 or 4 GB of RAM was decent and very good. Over the years, applications have become bigger, and so has the need for more RAM. Now, 16GB is not even enough for some. People are putting 32GB or even 64GB of RAM, which is crazy! Now, with Windows becoming less resource intensive. PC manufacturers have been shipping lower end PCs with only 2GB of RAM. This has to end, now! PC Makers should be putting a minimum of 4GB of RAM in low end PCs. 2GB of RAM just will not cut it anymore. Even with web browsing, having multiple tabs, will consume a lot of memory. Some (small) Windows tablets had a shocking 1GB of RAM, which is inexcusable. I still see some new Windows tablets, with only 1GB of RAM. Just imagine, someone who bought a brand new laptop, last black Friday, with only 2GB of RAM, loaded with crapware. Then they try, web browsing. Then down the road, install other programs. It would be horrible experience. Manufacturers need to stop shipping out 2GB of RAM, in low end laptops. How much does it truly cost, to add 2GB more of RAM? Many laptops have RAM soldered in, so something with so little RAM, is old right out of the gate. There is really no excuse to shortchange PC buyers with such measly RAM installed. If adding 2GB of RAM increases the price by $20, so be it.. Even though Windows now can technically run on 2GB RAM, and run acceptably for web browsing. Microsoft should increase the requirements of Windows to 4GB, to make for a pleasurable, and flawless computing experience. By increasing the requirements, it will force PC manufacturers, to stop offering 2GB of RAM in low end $200 laptops. Laptop keyboards over the years, have always been a step or two below, a regular desktop keyboard. They all offer different, feels, layouts and responsiveness. ThinkPad keyboards for instance, are one of the best, and offer an excellent typing experience. Whilst, laptops with, cheap, flimsy chiclet keyboards, are the worst typing experience. It really all is subjective, when it comes down to it. Recently, I went to Best Buy, to look around. I walked over to the Apple section to take a gander. I tried out one of the new Macbooks Pros. After typing on the keyboards. I was shocked, how horrendously, bad it was. It felt like, I was typing on a hard table. The Macbook keyboard, is the worst keyboard, I have ever used. It has no key travel, no tactile feedback, nothing. You minus well, just type on a rock, for writing essays. How can Apple sell so-called, premium laptops, with such awful keyboards? Although, laptop keyboards are all subjective. The Macbook keyboard is just objectively bad. I could not imagine owning a Macbook, and having to type anything longer than 2 sentences on it. What are your thoughts about the Macbook keyboard? With all the recent Call of Duty WWII hoopla. 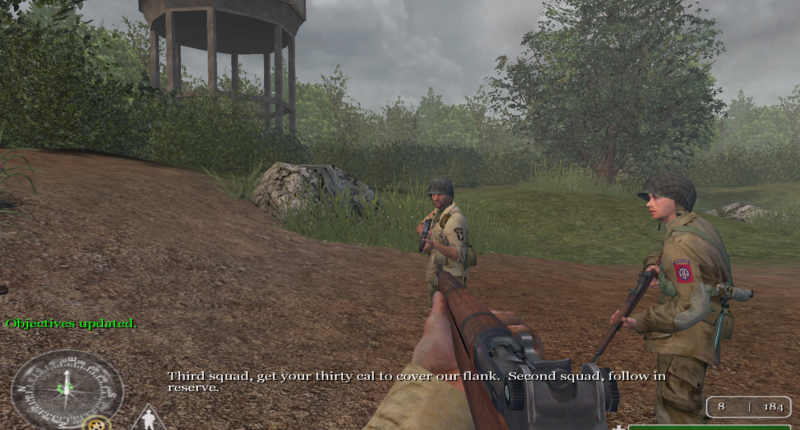 I decided to play, one of my favorite computer games of all time, Call of Duty 1. Back in 2003, Call of Duty 1 came out. It was a revolution in World War 2 shooter games. It mixed an excellent story and game play together. 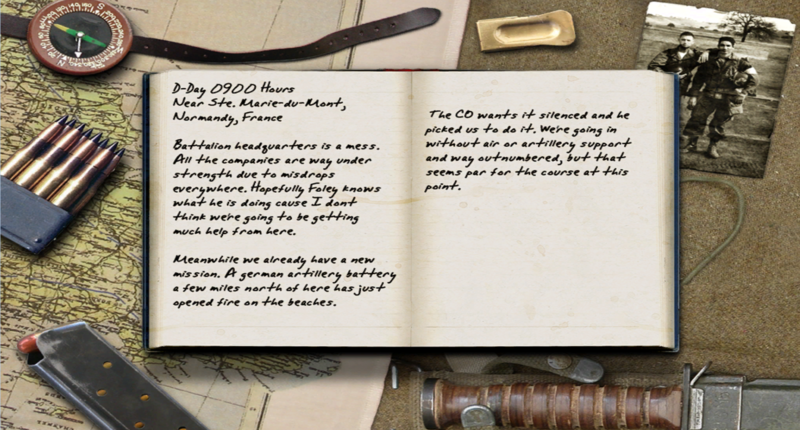 It taught players about all various the weapons used in the war, and so much more. 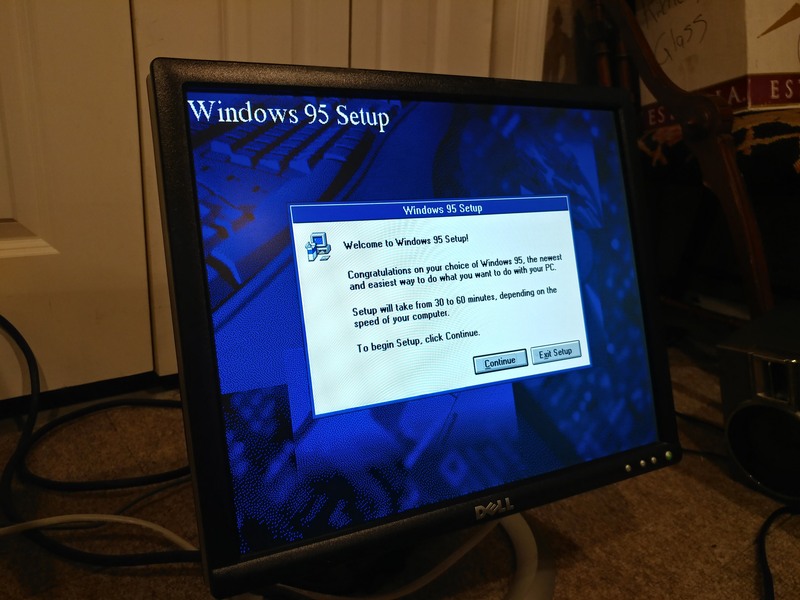 In the mid 2000s, I had a fairly good Windows XP PC. It had Athlon XP 3200 processor, 512MB RAM, and a Radeon 9250. It played Half Life 2 and Call of Duty 1 and United Offense very well. A day ago, I decided to go through the (long process) of install Call of Duty 1 on Windows 10. I had to install Call of Duty, and change CDs, which is pretty old school. First I had to insert the product key of course! Installing the game took several minutes. After installing, COD refused to launch, because of Secure CD. I tried compatibility mode, but still didn't work. Upon some research, I found I needed to download a patched "No CD" exe and replace the original. This worked perfectly, and the game launched. Then, I went into the COD folder, and opened up the config file, and changed the resolution to 1920x1080. After all these steps. 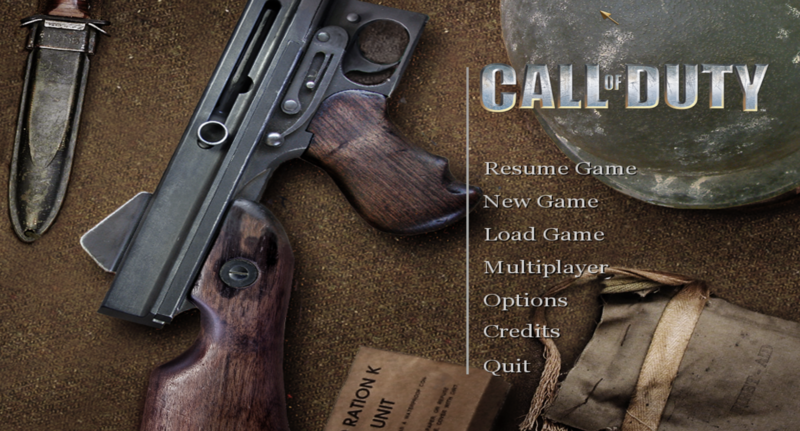 Call of Duty 1 ran perfectly, and I could relive the good old days. The game looks actually very good for 14 years old. Overall, Call of Duty plays well in Windows 10, despite needing to modify/adjust some things. Here’s some Screenshots I took playing. 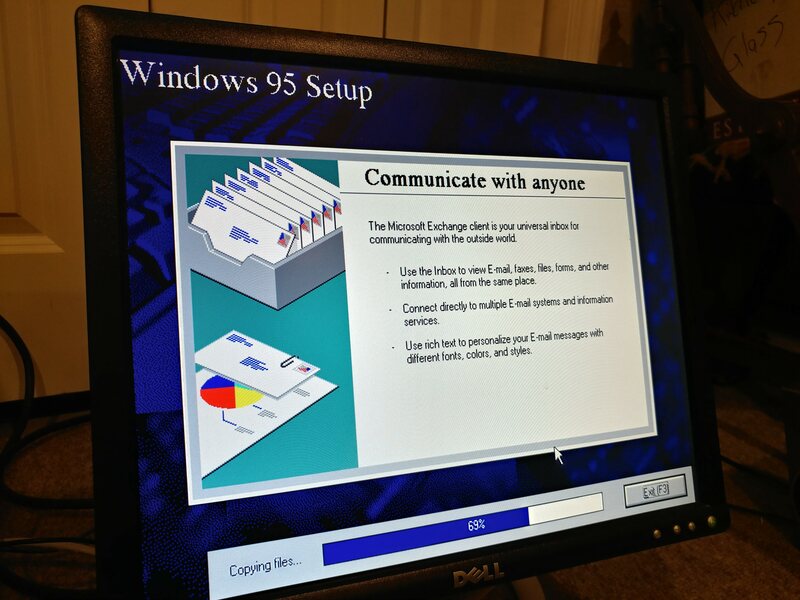 22 years ago, in an age of huge desktops, and thick laptops, Windows 95 came out. It was a truly revolutionary Microsoft OS, in that it introduced the desktop with the start menu. It made using Windows, so much better, especially from Windows 3.1! 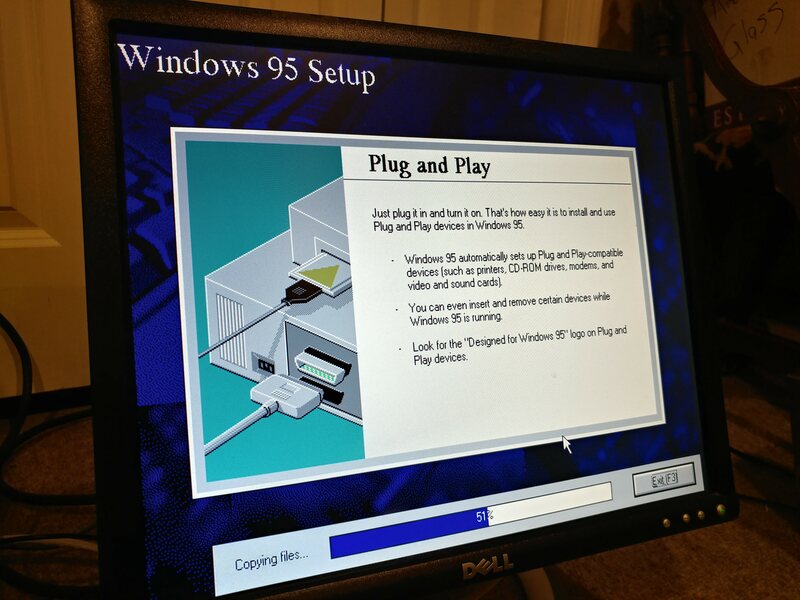 Today I decided to resurrect an old 1996 Dell XPS P200S, and install Windows 95. It was actually pretty easy, almost as easy as Windows 10. I did notice some similarities, 22 years later. 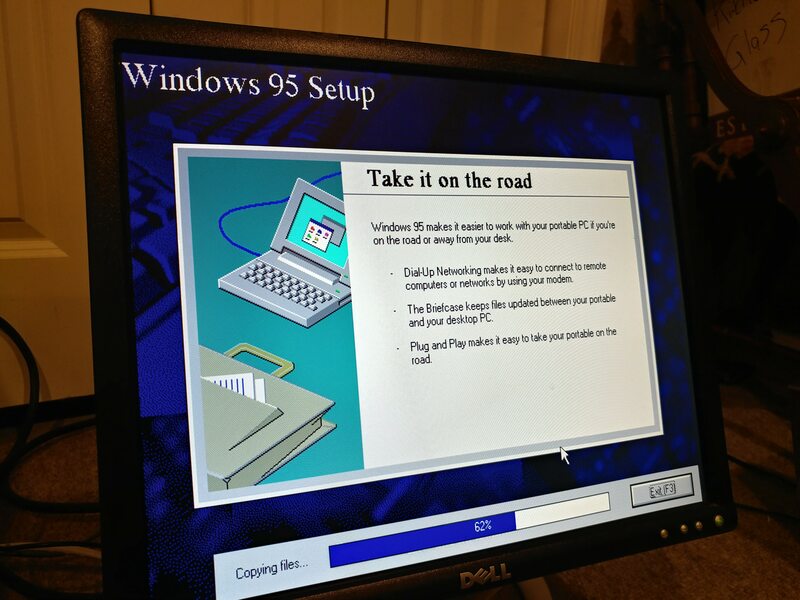 First, I stuck in the boot disk, and booted Windows 95 right up. 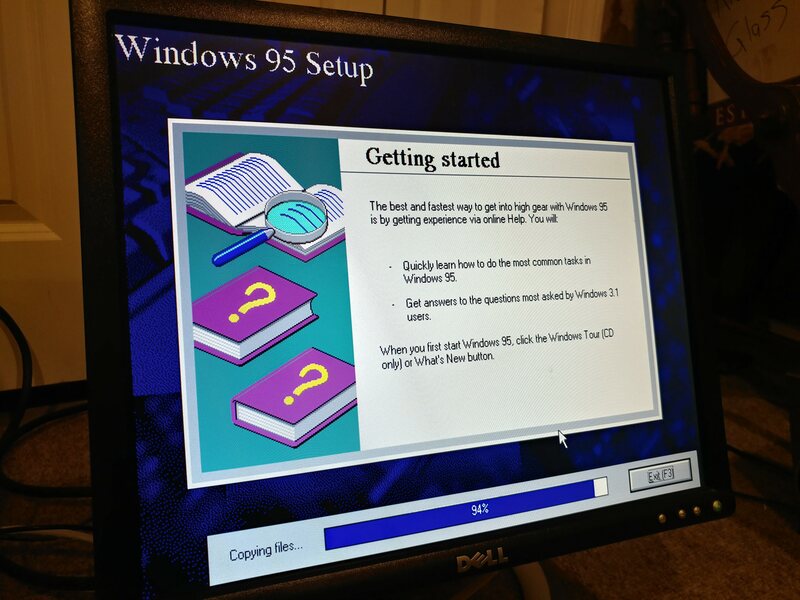 It then went to formatting the hard drive, to install Windows 95. This went relatively quickly. 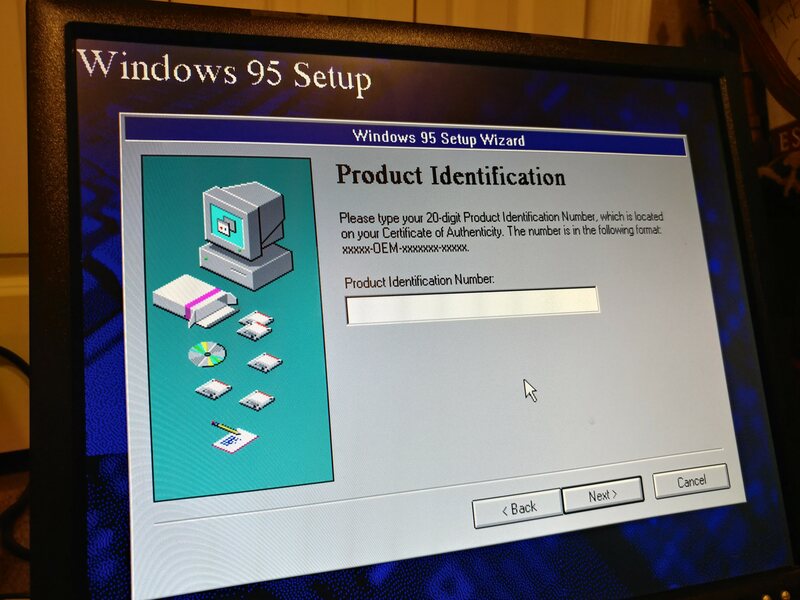 Then, it went into the Windows 95 setup screen. It is a pretty looking splash screen! After that, I went through the process of inserting the license key. 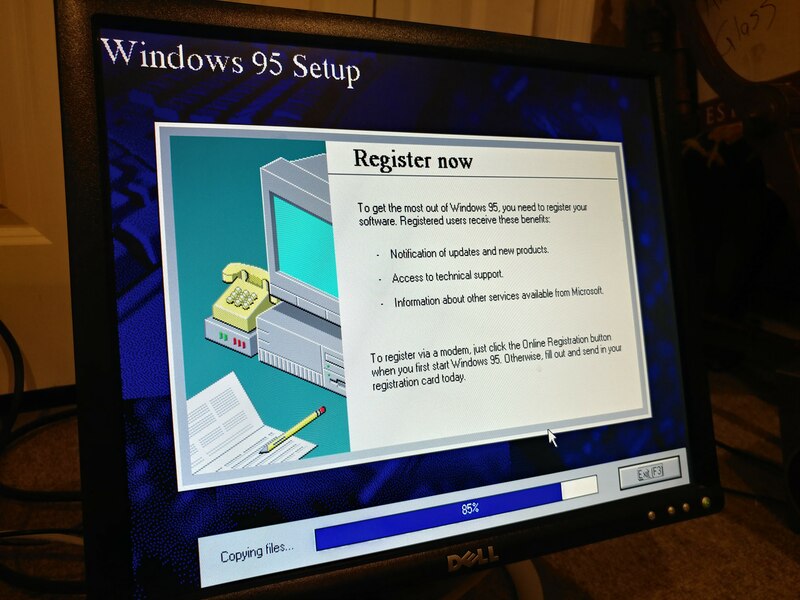 Now, getting Windows 95 ready for the first time. Just like Windows 10 does with the changing colors :). 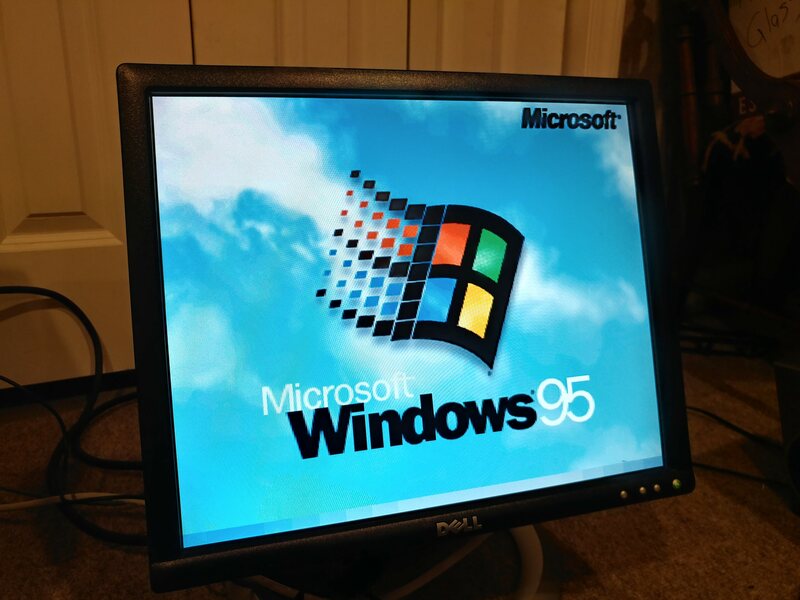 Windows 95 boots up now. Finally, on the Windows 95 desktop greeted by the Welcome Screen! In the end, I still have to scour the internet for drivers, for the old Matrox video card. 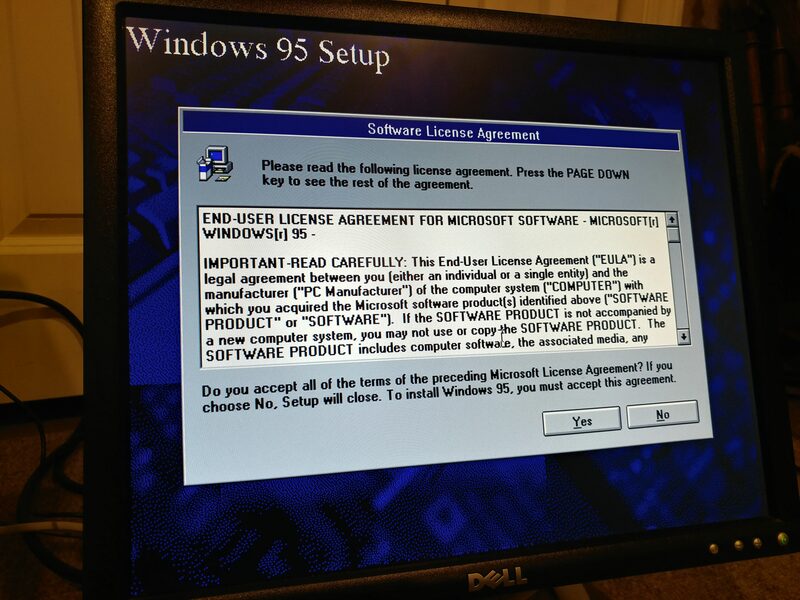 I have to say, going back 22 years and installing Windows 95. It wasn’t a bad experience! 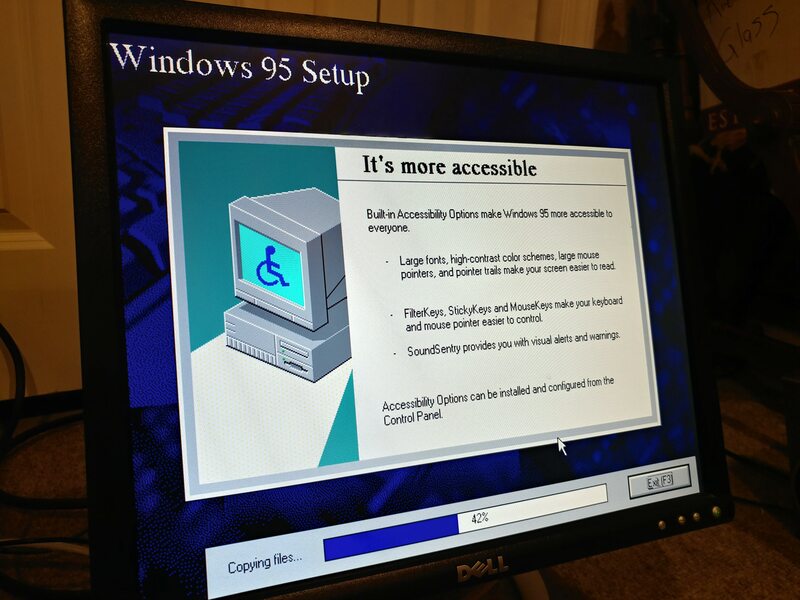 It brought back many memories of the old days of Windows! What is that on my taskbar? Today, I noticed Microsoft updated the Windows Store icon, to something more colorful! On this day - Windows 8 Released! 5 years ago today, October 26th, 2012, Microsoft released Windows 8 to the general public! 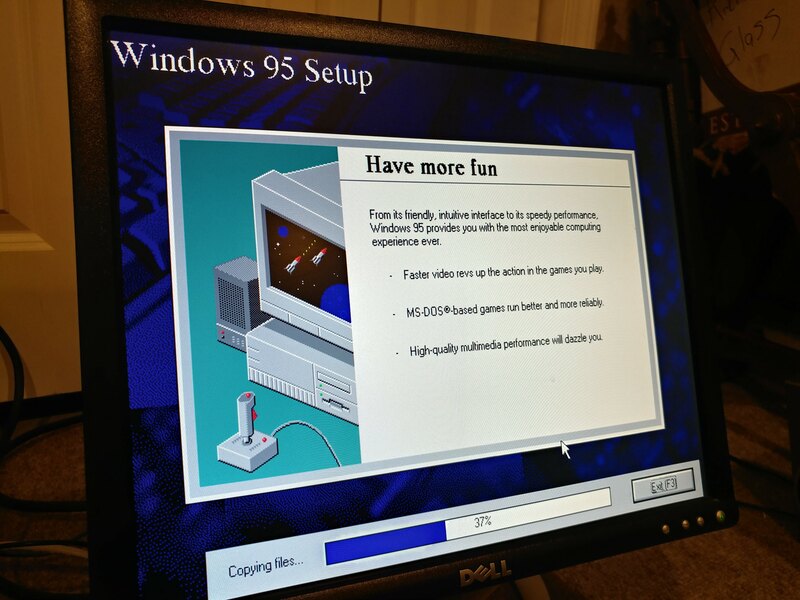 I did the full icy plunge back then, and installed it on every computer I owned. Including my desktop, and laptops. Windows 8 was not a horribly bad Windows OS, especially under the hood. However, design wise, it was very tablet-centric. It took some time to get used to Windows 8, especially with charms, the start screen, hot corners, etc. It can be argued, without Windows 8, we would not have Windows 10. Also, any of the highly innovative hardware we have today. 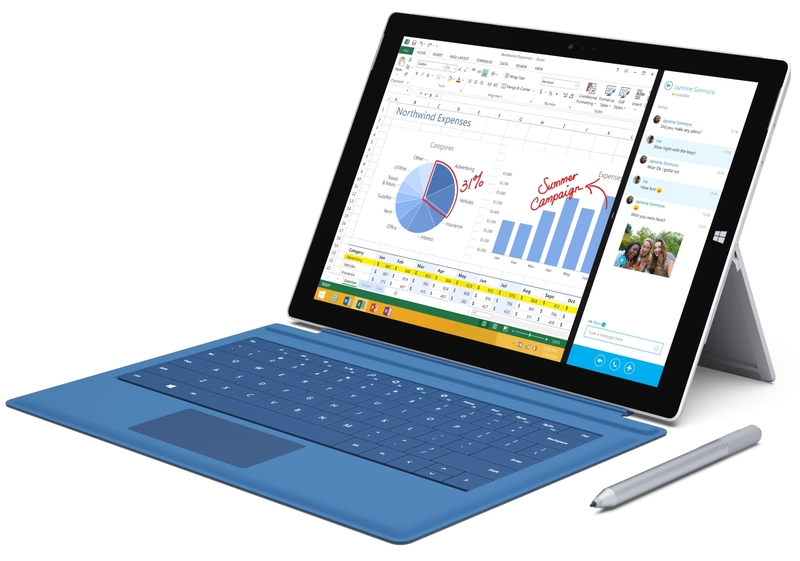 Most especially, the Microsoft Surface Pro tablets, and any of the Yoga style laptops! 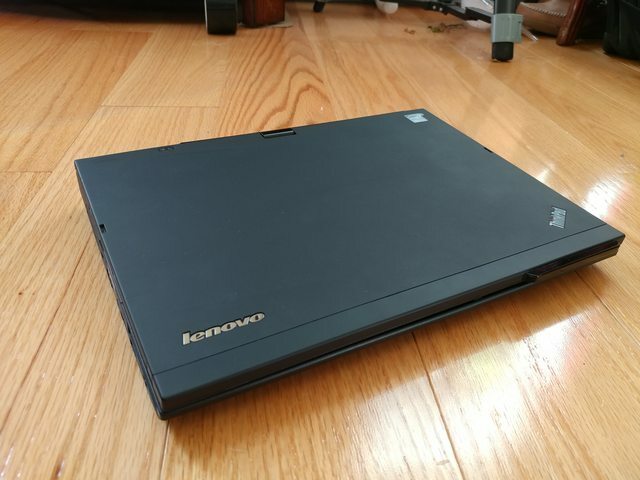 Recently I acquired a used 2011 Lenovo Thinkpad X220 Tablet, for only $70. This is like the Swiss Army Knife of Lenovo Thinkpads! In 2011, a time before Windows 8 came out, computer companies were gradually starting to come out with convertible laptops. A lot of them, were slightly different than today. For instance Dell had a Inspiron Duo laptop, where the screen flipped over in place. Others were like this too. Eventually, manufacturers moved onto either detachable laptop convertibles, or the Yoga style ones. The ThinkPad X220 uses a convertible style, where the screen twists around a folds flat. I personally feel this is the best "Yoga" design. Rather than how the new laptop tablet convertibles are today. Where the screen flips over, with the keyboard exposed on the bottom. The ThinkPad X220's design is very rugged, and utilitarian. The computer weighs 4.4 pounds. The laptop is made of very durable plastics. There are lots of ports like VGA, USBs, Ethernet, and an SD card slot. Many computer manufacturers don't put these ports on laptops anymore, especially Ethernet. Having an Ethernet port, can be advantageous. Especially if you are at place like a hotel or business with only Ethenet available. The display of the Thinkpad X220 tablet, is vibrant and beautiful. It is only 1366 x 768, which by today's standards, is sub-par. However, the deep rich colors, of the IPS display, are really good. The viewing angles are excellent. The screen is also multi-touch, and comes with a ThinkPad pen for drawing (haven't tried yet). The X220 Tablet, has a Intel I5-2520M and a HD 3000 graphics chips. In comparison to my 2015 Thinkpad X1 carbon. I see no differences in performance, especially when browsing the web. I haven't tested applications, I suspect, Lightroom should be equal performance. Perhaps, Adobe Premiere too? As for gaming, as like the Thinkpad X1 carbon or anything with Intel graphics, it probably wont play a lot of graphically intensive games. The Thinkpad X220 Tablet's keyboard, is amazing to type on! The key travel and resistance is excellent. There is no flex when typing. I easily could type on the keyboard forever. While my ThinkPad X1 carbon's keyboard is best in it's class. I think the X220's keyboard is in some ways better. 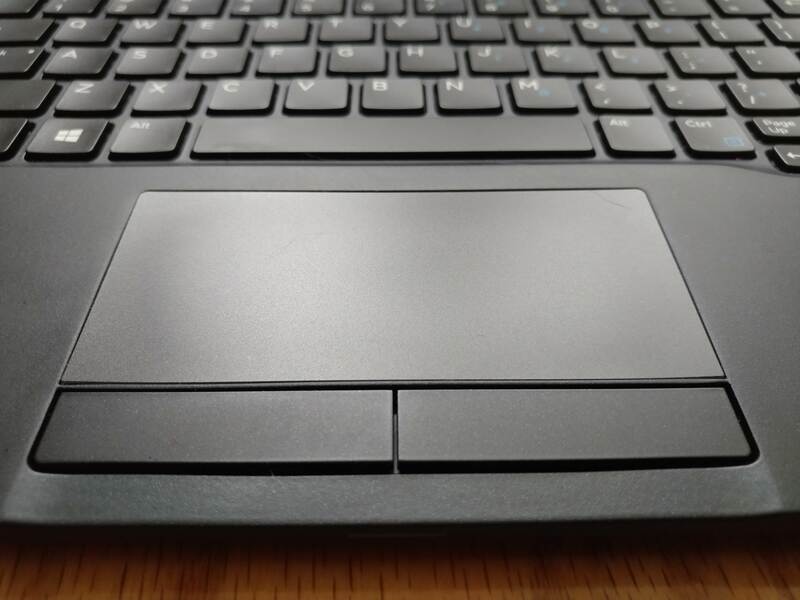 The X220's trackpad is quite tiny, but it is very responsive and accurate. 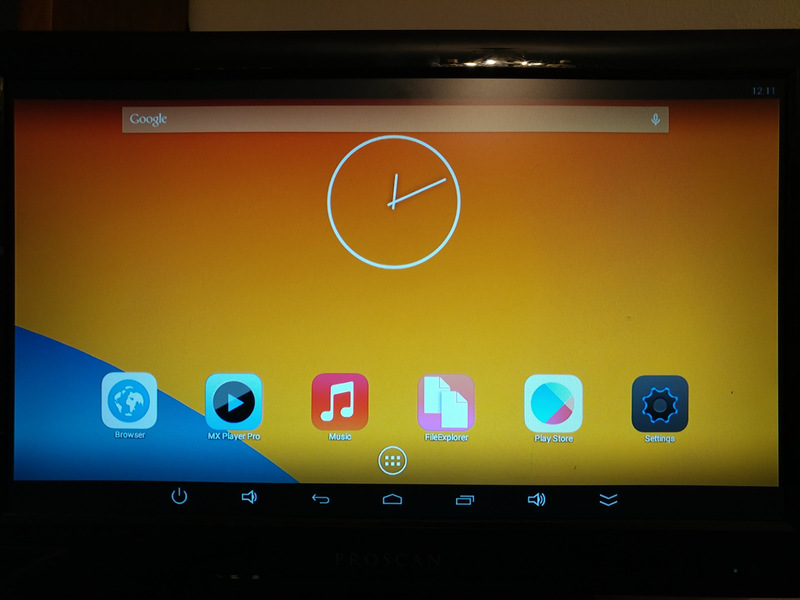 There is also the track point and touchscreen, which make up for it. The ThinkPad X220 Tablet has a 12 inch display and weights 4.4 pounds. It is not the lightest laptop, it is light. The battery on the rear is a bit bulky, but doesn't totally take away from the portability. The X220 tablet I have, comes with a 120 GB solid state drive. While it is not a lot, is sufficient, considering I keep a lot of things in the cloud. The Thinkpad X220 tablet, previously had Windows 7, but Windows 10 makes the computer better than new. With the lower resources in Windows 10, it makes the X220 a more efficient machine. Also, with the deep touch integration of Windows 10, drastically improves the touch aspect. I have not tested the battery thoroughly enough, but it does seem to last a long while. It should last a couple of hours. The ThinkPad X220 Tablet, is the Swiss Army Knife of Thinkpads. It can be used for so many different applications, from drawing to much more. While it is not as thin or portable, like a Surface Pro, or the newer Thinkpads. It is an excellent, ThinkPad tablet. If you ever come across a X220 tablet or the regular X220, for cheap. I highly recommend grabbing one. For the typing experience alone, it is worth it! For the longest time, I have been an enormous Gran Turismo fan. I played every game they released, and spent hours and hours playing each game over the years! 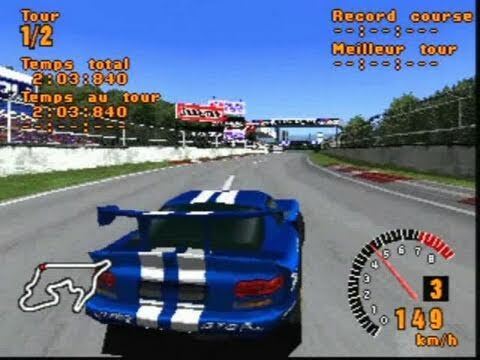 Gran Turismo was the king of racing simulation games back then. They had the best physics, a massive amount of cars, tons of tracks, and also great music. They even had Snoop Dogg create a custom track in Gran Turismo 3! 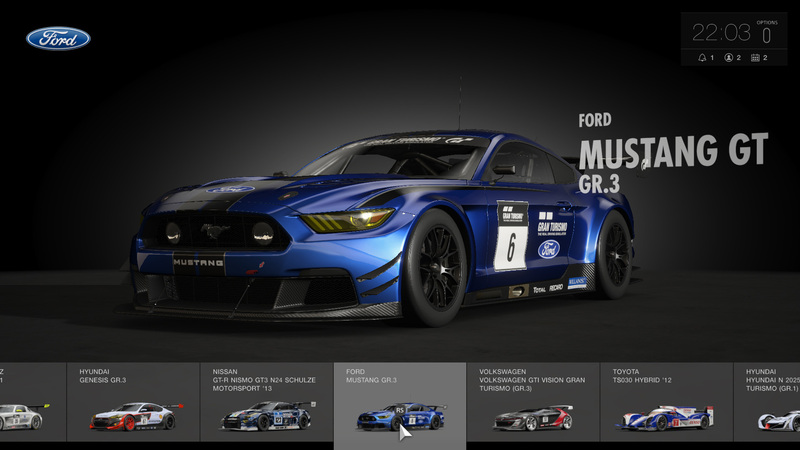 Now, with the release of Gran Turismo Sport. All that was great about Gran Turismo is gone. There is no offline simulation mode or any offline mode at all, there is no wide selection of cars. None of the original tracks are in the game from the beginning days, like High Speed Ring, Deep Forest, Grand Valley. 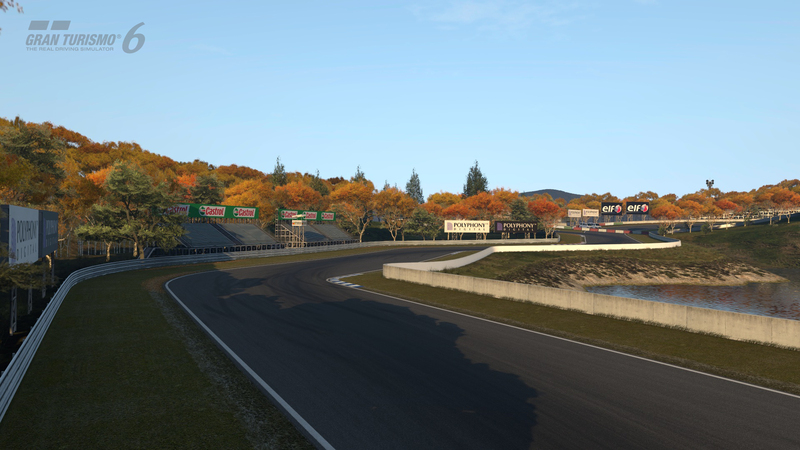 There is not even Autumn Ring, which was a beautiful track with fall foliage. Gran Turismo Sport is not a Gran Turismo game, at least the one I remember. Yes, Polyphony Digital pointed the game in a new direction. In doing so, they got rid of a tried and true formula. The formula, where you buy a crappy slow car (Toyota Yaris), win races, earn money, buy faster cars, and advance in the game. This is what made the series fun and addictive. The only thing that Gran Turismo Sport has going for it, is the ultra realistic driving experience and the FIA association. Also, the improved life like graphics, that could easily con anyone to thinking it was a real life race. That is really about it. For the first time ever, I am not buying Gran Turismo. I might never buy it again. I feel very sad about this. Gran Turismo was apart of my blood. It taught me everything about cars and the different models. Gran Turismo additionally, made me a better driver in real life, especially braking more effectively. Maybe, down the road, if Gran Turismo Sport gains an offline career mode, a significantly wider selection of cars, the original tracks. I might reconsider the series again. 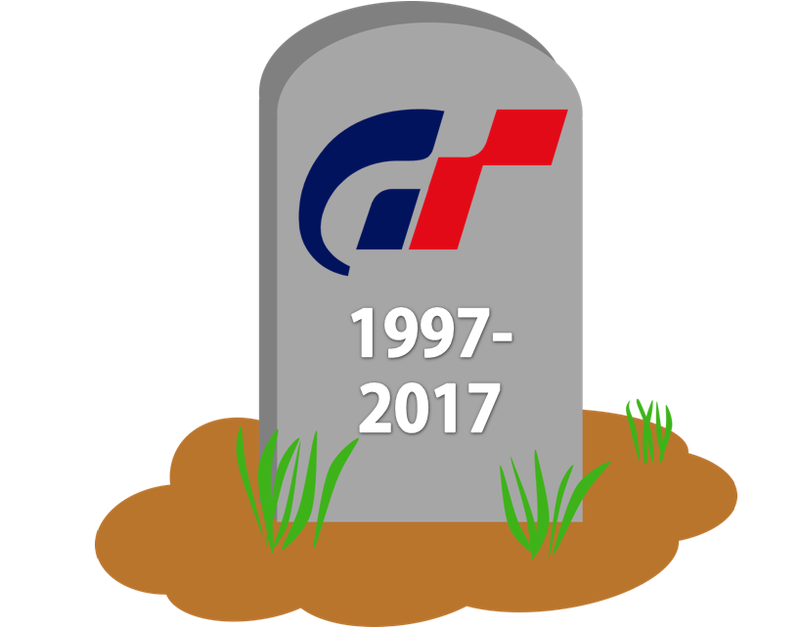 For now, I say Rest in Peace Gran Turismo Series (1997-2017). Tutorial (Advanced) - How to enable a second visual style in Windows 10! Windows 10 currently has one visual style, which is still called Aero! There is however, another visual style, carried over from Windows 8. It is called Aero Lite. Aero Lite was originally in Windows 8. I am not entirely sure, what the purpose was of it. It still exists in Windows 10 today, but is just disabled. Here are a few steps, on how to enable it. 1. 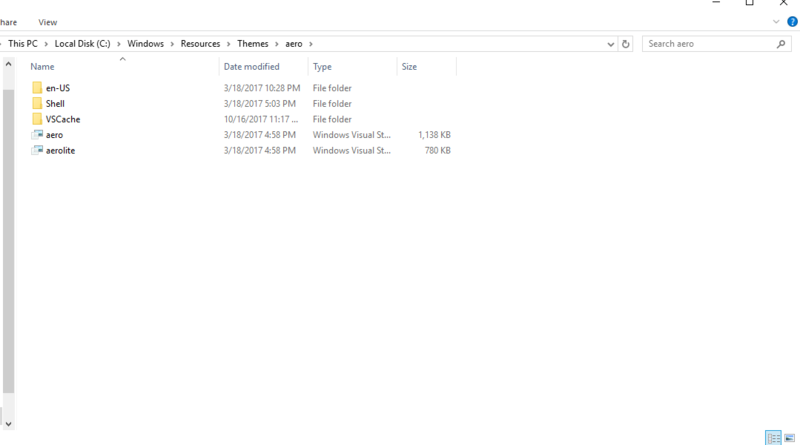 First step, go to Local Disk (C:), then the Windows folder, then Resources, and click on Themes. 2. 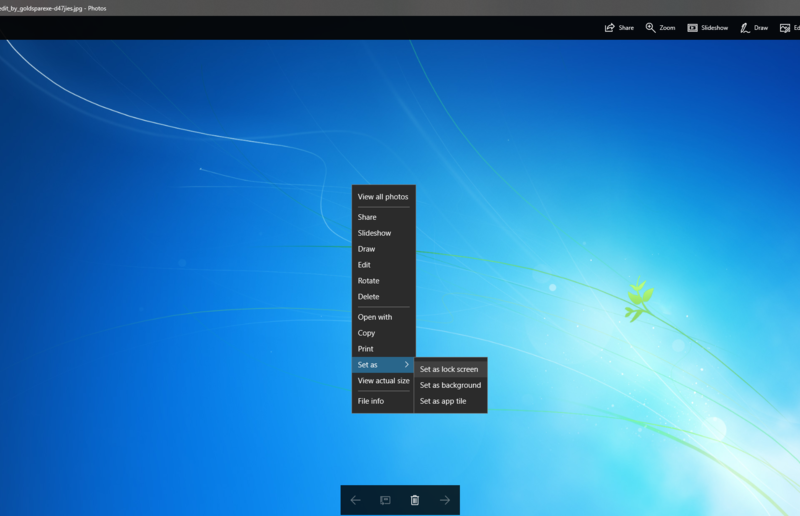 Now, select the theme called Aero, and copy it to the desktop. 4. Now, right click on “Aerolite.theme”, and open it with Notepad. Here you will just change the two things in the circles. 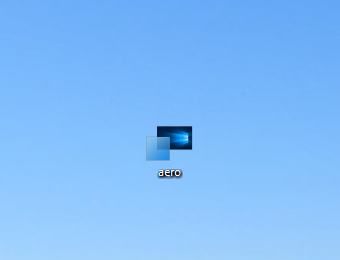 The “DisplayName” to Aero Lite, and [Visual Styles] directory path from Aero.msstyles, to aerolite.msstyles. 5. Now, save and close the Notepad window. Then, double click on the theme that is now called, ‘Aerolite.theme’ on the desktop. You should have, what it looks like this! If you want to get your regular Windows 10 theme back you had before. Simply, just go to personalization in Settings, then themes, and select the theme you had previously. I am a strictly Windows user, and have used it for countless years. Recently, I began testing out Linux, and exploring it. 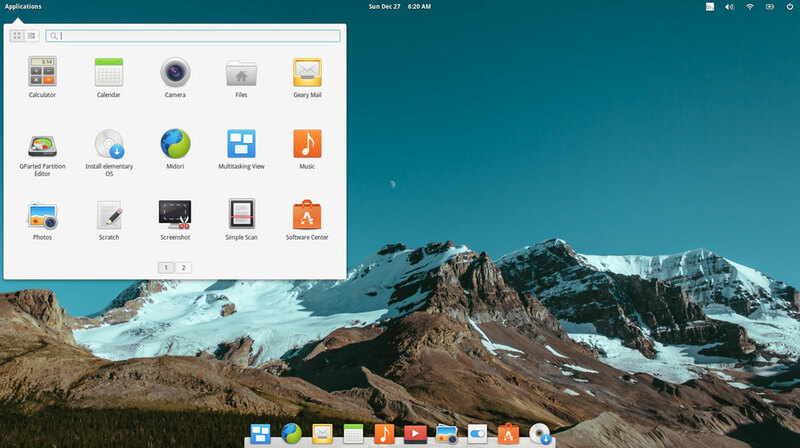 I tested various distros, from Ubuntu, to Linux Mint, Elementary OS and Fedora. I was very surprised at how good they were. Here is a quick run down of my experiences. 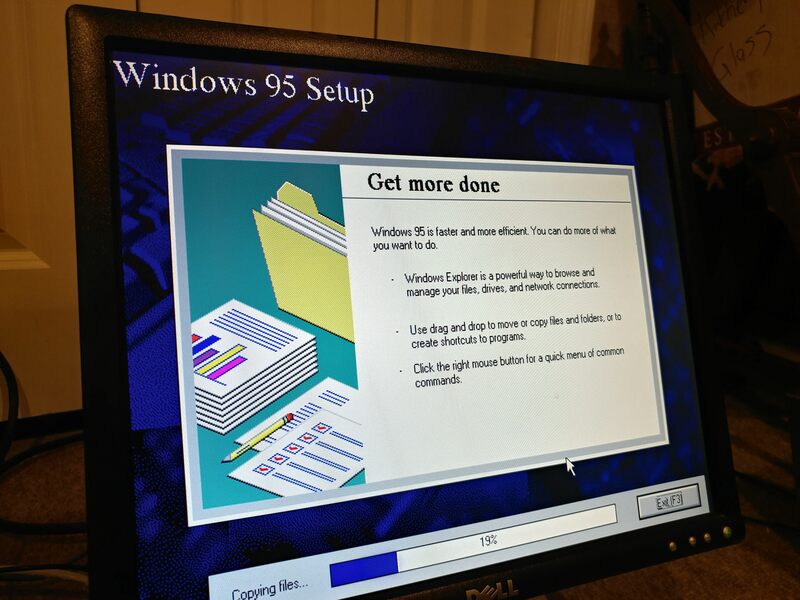 Installing each distro was as easy as installing Windows. There were no extra steps needed. The installations automatically formatted and partitioned the hard drive. Updates were downloaded and installed, during the installations. The hardware was all detected automatically, such as the graphics, WiFi and Ethernet, etc. Overall, a very good experience. Logging in and booting to the desktop for the first time in each distro, was painless! No additional set up was required, like configuring or installing drivers. The desktop environments were quite easy to learn right from the start. Each distro has a slightly different desktop environment. 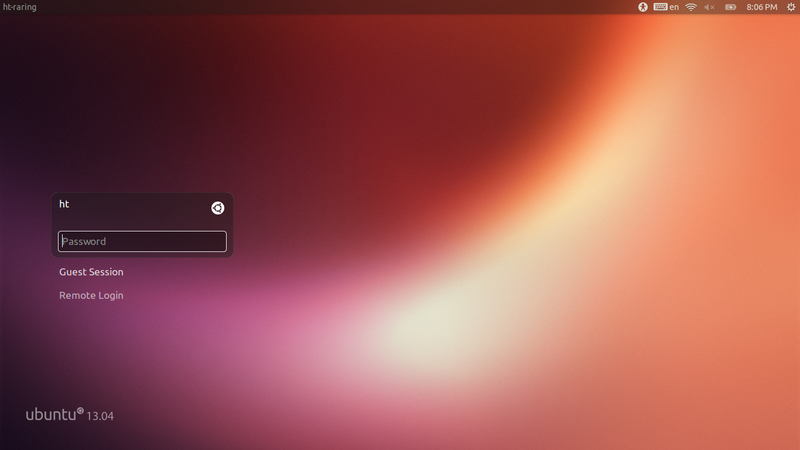 Ubuntu and Elementary OS, are reminiscent of Mac OSX. While Fedora and Linux Mint are more similar to Windows. Each desktop has familiar icons, folders and apps. It was very easy overall to adapt, using each one. I especially liked how clean the desktop environments were. Above: Sceenshot of Fedora, and the Gnome desktop environment. Each Linux distro has (most) all the preinstalled programs, that Windows has, and more. For instance, calculator, a notepad etc. Linux Mint, and Ubuntu, unlike Windows, comes with an office suite installed (Libre Office), which a plus for many people. Also, FireFox comes with each distro, except Elementary OS which comes with the Midori browser. There are of course, all the system utilities that you need, within the system folders, like task manager and more. This is the Achilles heel of Linux. While there is a wide selection of software available, from Google Chrome, to Steam for games. Linux still is missing big name software like Adobe Creative Cloud, for some reason. This can be easily circumvented, if you dual boot Windows and Linux together. Software availability for Linux is improving, but slowly. Linux distros, most especially Linux Mint and Ubuntu, can be used by nearly anyone. The desktop environments are very familiar, and can take no time for someone to adapt. However, there is some learning, like any other operating system, if you switch. It is very good to know commands in the terminal. As of 2017, Linux has greatly matured and gotten to a point where I think it is comparable to both Windows and Mac. There are some caveats, like missing big name programs like Adobe, but that may change eventually. Software support is again, gradually improving, especially with now Chrome and Steam being available. If you are looking to experience something different, and take a break from Windows or even Mac. I highly recommend taking, either Linux Mint, Ubuntu or Elementary OS for a spin. You can either dual boot or just try Linux via a live USB. If you want to go for the full plunge, you can do a complete install of Linux and wipe away Windows. There are of course, a lot of of Linux distros available, like Debian, Manjuro, Arch. 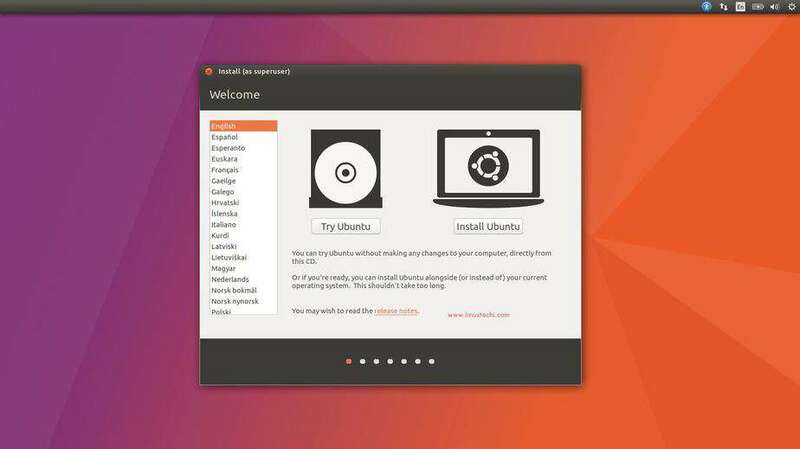 Ubuntu, Linux Mint and Elementary are great for starting out with and offer a great out of the box experience. 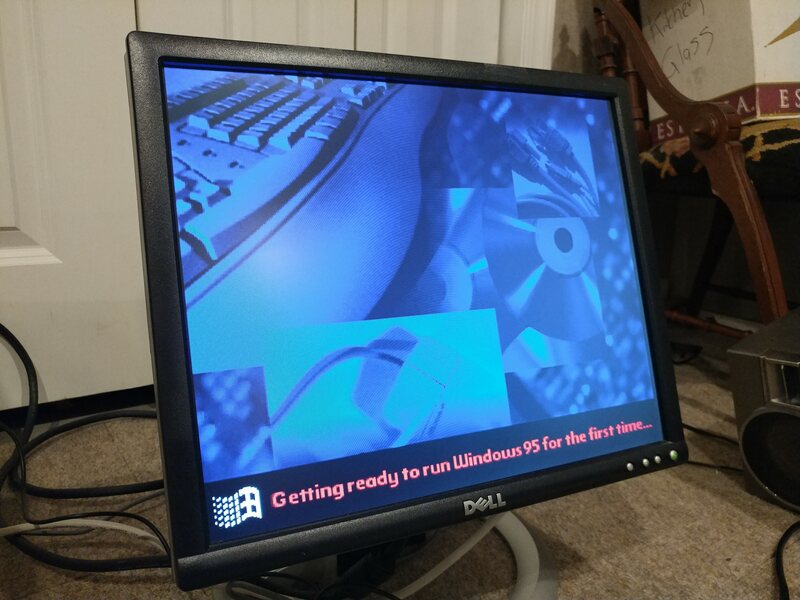 In reply to hrlngrv:Windows 7 ran on less resources, on computers that were running Windows Vista at the time. Tutorial - Make Windows 10 look like Windows 7! Windows 7 was arguably one of the best Windows, Microsoft made. When it came out in 2009, it was fresh, fast and overall perfect. 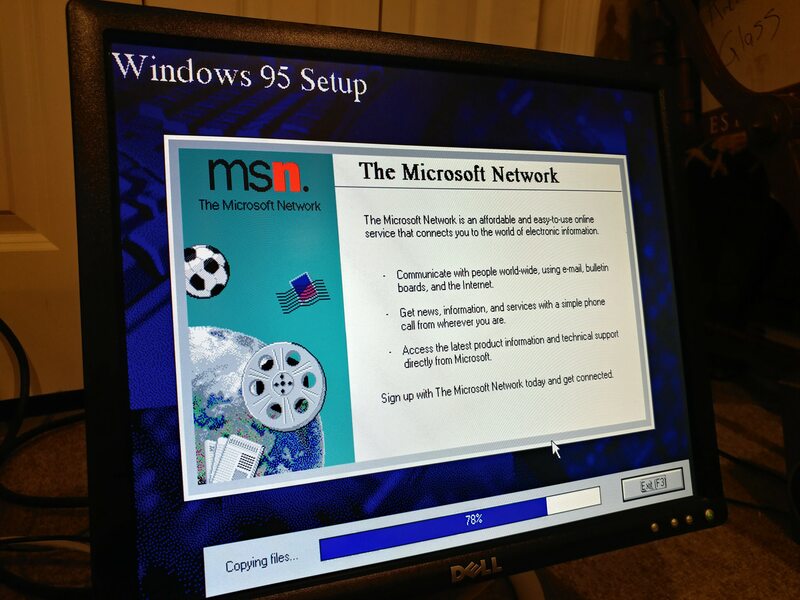 It ran on less memory, it was faster than Vista (especially booting), and introduced a lot of new features. Now Windows 10, is like the new Windows 7, its fast, sleek and modern. 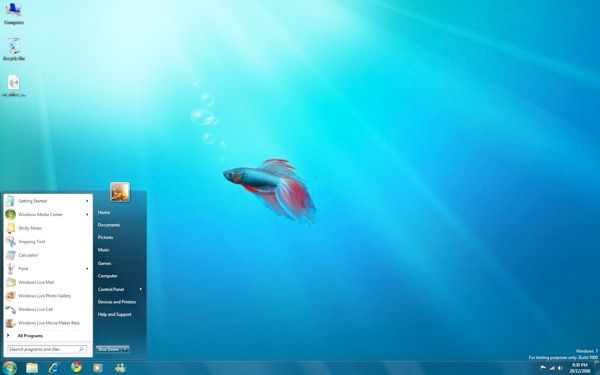 If you miss the days of Windows 7, and want the look of it for nostalgia reasons. 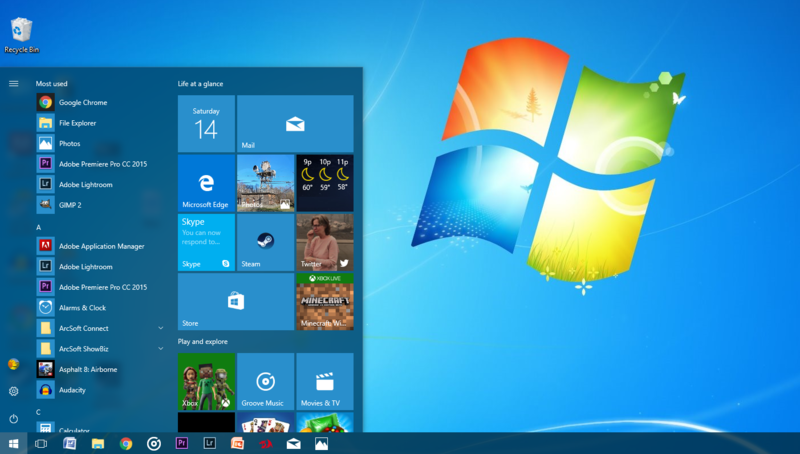 Here is a quick tutorial on how to make Windows 10, look like Windows 7. The background. You can get the Windows 7 background, very easily, just by Googling it. Just download it, and set as the desktop wallpaper! Just make sure the location of the wallpaper is reputable first. The logon screen. You can get the login screen of Windows 7 also, by simply Googling or binging it! First download it, then right click and set at lock screen image. Last but not least, colors! 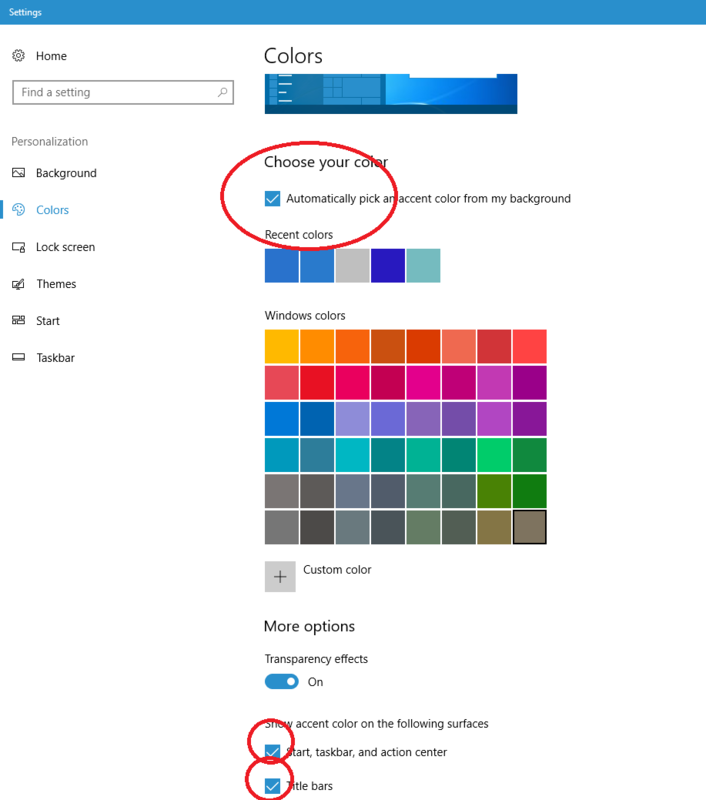 You can change the colors in Windows 10 to look like Windows 7, by going to settings > personalization > colors. Then, select automatically choose color based on wallpaper, and also show color on the titlebars, and start. According to my Facebook “On this day”. 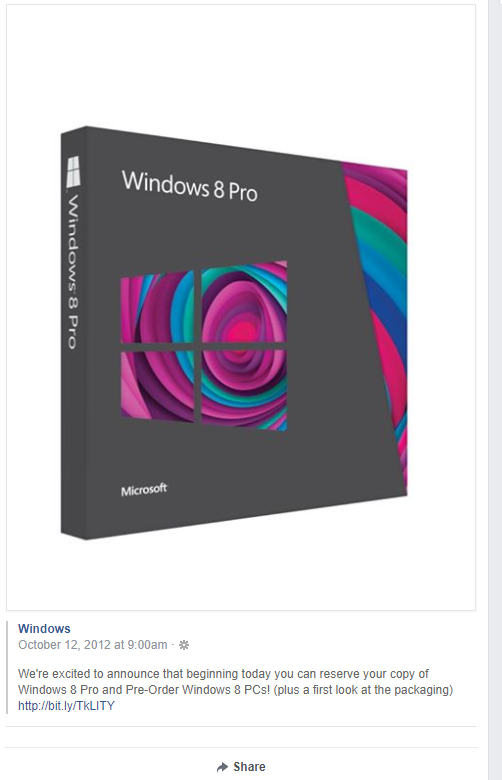 It was 5 years ago today, Windows 8 was made available for pre-order. I bravely pre-ordered it, and later installed it when came out on October 26th. Windows 8 was not a totally bad Windows operating system, especially under the hood. However, design wise, it was a rude awakening, and took time to get used to. I did install Windows 8 on all of my machines back then. It worked perfectly fine, and the Start Screen was the only inconvenience really (maybe the boot to start, charms, and the corner gestures also). Many years ago, Windows Phone came out, to offer users a choice. It tried to be different, with colorful live tiles, apps, and much much more. There was excellent hardware like Nokia Lumias, that had some of the best camera on the market. Windows Phone tried, and tried to stay up. but ultimately, could not compete with the two giants. Over the years, computers have become increasingly more affordable. You can now buy a desktop for under $400, and a laptop too. 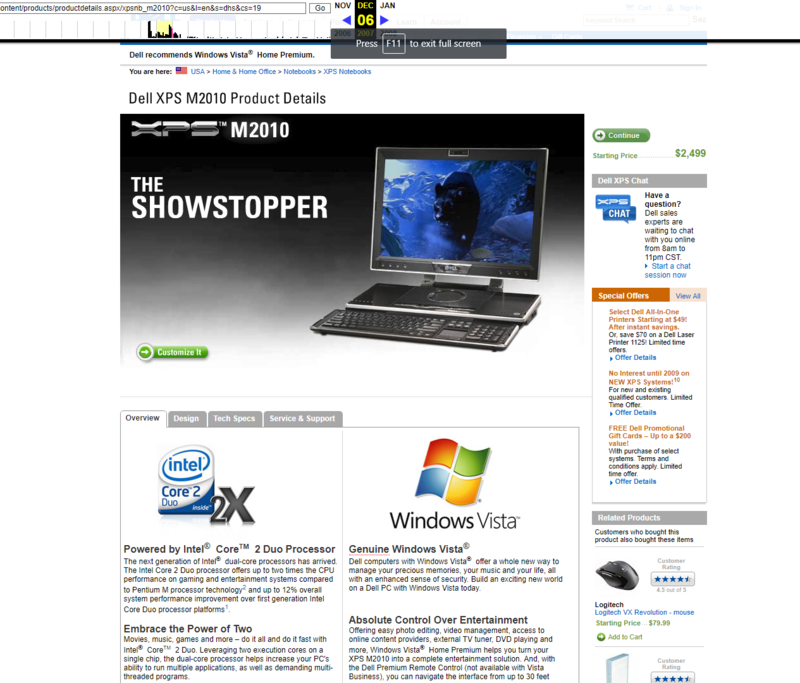 Albeit, you'll have to spend more to get more performance, especially gaming or video editing. 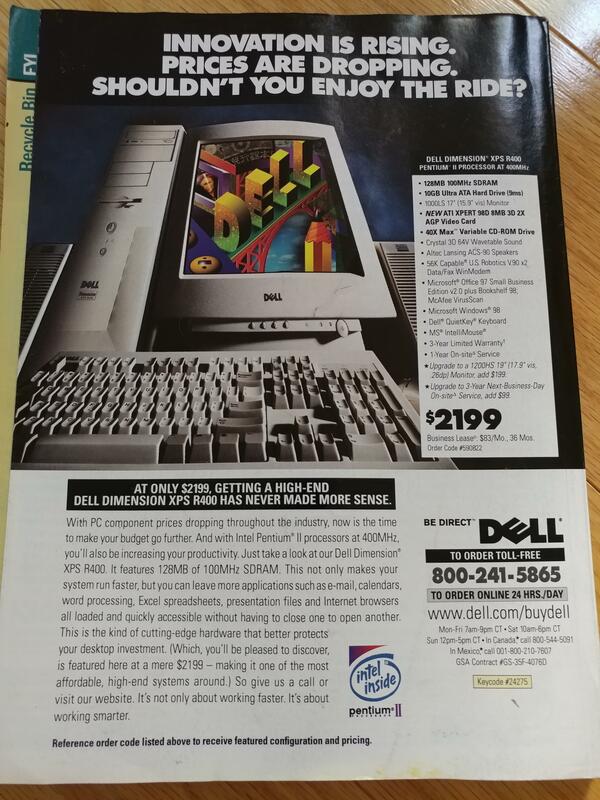 Here is a Dell ad, on the back of a Windows magazine I have, from 1998! This appears to be a high end computer, but still pretty expensive by today's standards. What keyboard & mouse does everyone use? What keyboard and mouse does everyone use here (if you use one)? I use a EagleTec KG010 mechanical keyboard, with Outemu blue switches (like Cherry Blue). The build quality, typing and key feel is excellent, especially for a budget mechanical keyboard. I also use a Red Dragon M801 Mammoth mouse. It is very responsive, and has a nice feel to it. For it’s price, it is a superb mouse. The only complaint I have, it had a plastic smell for a few days, but went away eventually. Windows Phone over the years, hasn’t been overly successful, and this obviously due to Android and iOS! Windows Phone had a big swing around when Windows 8 came out. It also has had a lot of great hardware, especially the Nokia Lumia line. The biggest fault with Android and iOS, is they have a lot of powerful hardware. Some to not at all, can become computers, by being plugged into a monitor, and used with periphreals. Now with everyone carrying a phone around, why not use it as your desktop too? Why have such a powerful computer in your pocket, that can’t be fully utilized? This leads to, the biggest reason, Microsoft should not give up on Windows Phone, is the Continuum feature! Although Windows Phone is lacking in apps and popularity. The biggest asset it has is Continuum. Continuum allows a phone to be plugged in, and be used as almost, a full fledged PC. For many people, this would be a huge plus. Especially that they don’t have to switch between devices. Also, can keep everything on one device. Microsoft is already known for Windows on the desktop, laptops, tablets. Why not be known for the Windows that can flex between a phone, and desktop? 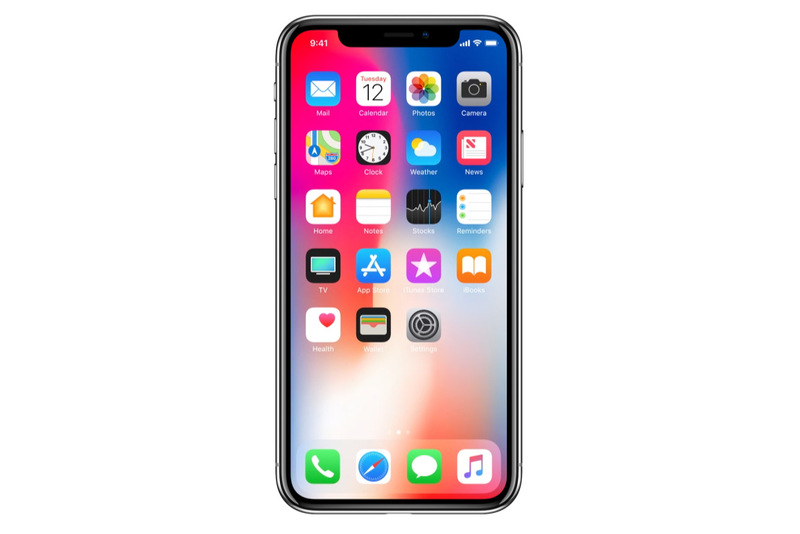 While the Iphone X is a gorgeous, innovative new phone Apple released, it has some design flaws and other issues. It has a glass plate on the back. While this is aesthetically nice, it will break easily. Especially if dropped, even on a counter top. Apple certainly could have kept the finger print button on the rear, for redundancy, or back up measures. This way, if the face recognition fails. You could use the fingerprint for turning it on also. It is VERY expensive. For the same price of the base model iPhone X. You can get an i7 desktop or laptop, that can do far many things than it can, and will certainly last much longer, without having to upgrade. Also, with all the accessories, the iPhone X will cost as much as a used Hyundai. The black bar on the top, takes away slightly from it's beautiful end to end display. Apple could have worked harder to make it blend in better. It is running the same iOS graphical user interface, that came out in 2007. Apple should have redid the entire UI, and made it fresh as the iPhone X is. No expandable storage. Yes, this is widely debated issue. It is really nice to expand the storage in your phone, especially if you take alot of photos or have alot of music. Overall, the iPhone X is a gorgeous new iPhone. It offers a beautiful display and a different styling than any of the phones they produced. Apple did make some questionable decisions, in making the phone. If it had, most especially, a fingerprint reader on the rear. The iPhone X would have been perfect. Who did picture Paul as before you watched him on Windows Weekly? Perhaps it was Paul’s in-depth, knowledgeable articles on Windows and Microsoft? After watching Windows Weekly for the first time, many years ago. I think Paul looks more like Matt LeBlanc from Friends. What would make you leave Windows? What would Microsoft have to do, to drive you to leave Windows? It would be if Microsoft dropped Win32 support, or did something crazy, like dropping support for processors only a few years old. I read today from PCWorld, Microsoft is cutting support for certain Clover Trail processors, that are in the "End of Interactive Support" phase. Microsoft may potentially cut support for other processors in the future, that fall in this category. Here is my question, I have a gaming computer with an Intel I7-3770 with a GTX 1060. 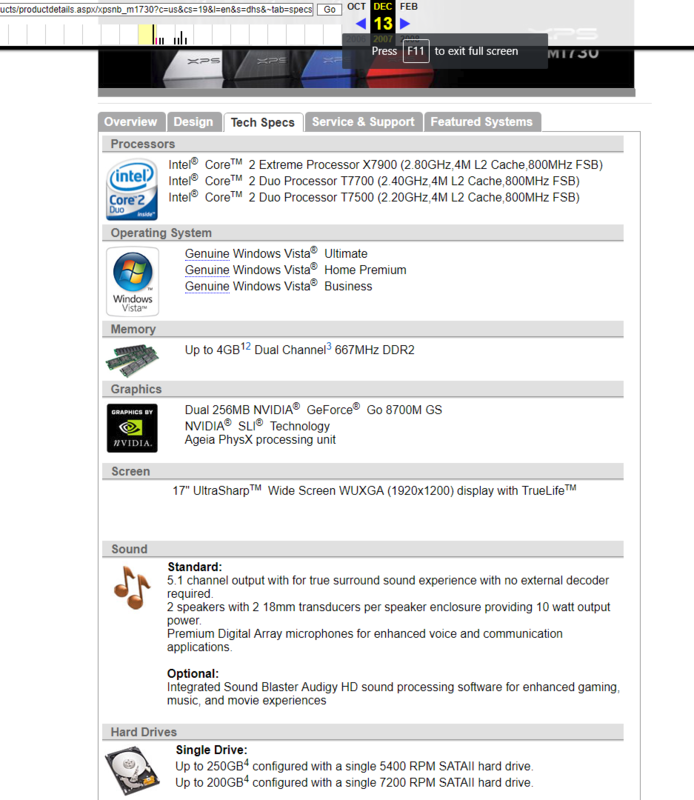 It is a pretty decent gaming computer and plays all the games, like Fallout 4. Is this all just "Fear, Uncertainty, and doubt", or could Microsoft seriously cut support for older processors. Even Intel's I7 and i5 processors, that are only a few years old? Cutting off support for Intel processors only a few years old, would create enormous problems and chaos. It would be an unthinkable move for Microsoft, and also frankly senseless. Yesterday, I got a free Compaq Presario SR2032X. 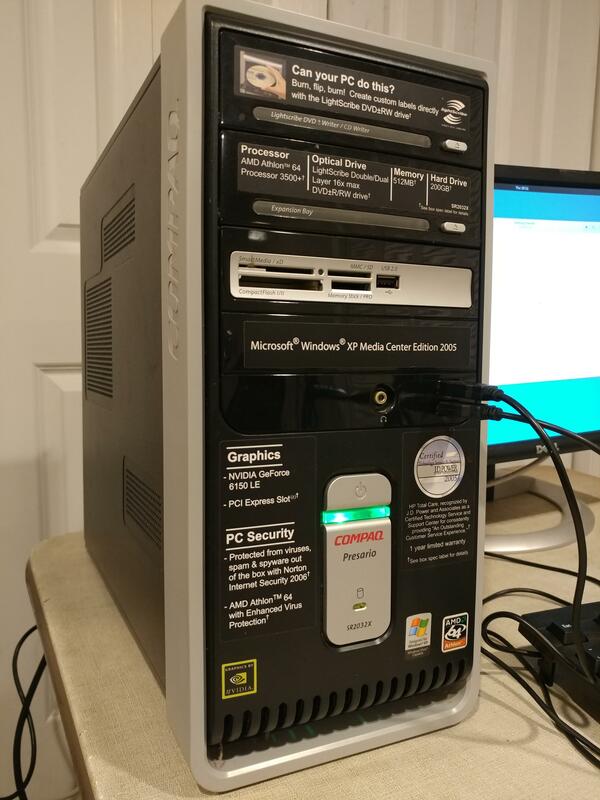 It has a Athlon 64 3500+, 512MB of RAM, 200GB hard drive, Geforce 6150LE graphics, and Windows XP Media Center Edition with lots of crap installed. After getting the computer home. I immediately cleaned it. Then I turned it on and was surprised at how much crap was installed. 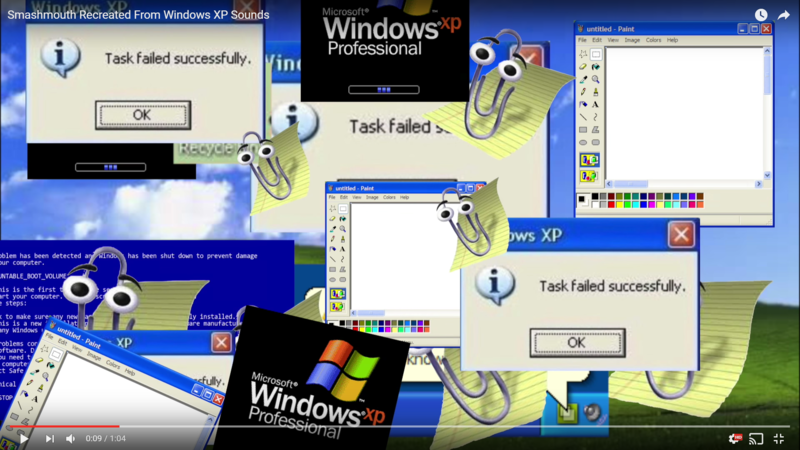 Windows XP seemed surprisingly ok and not too slow. I then turned the computer off,added 1.5GB of DDR2 of ram and wiped the hard drive. I initially tried installing Windows 10. It however failed to boot, likely because of the processor. Then I installed Ubuntu Gnome. It worked pretty well, and everything worked like sound, graphics, but I kept encountering an error, with the system updater or something. 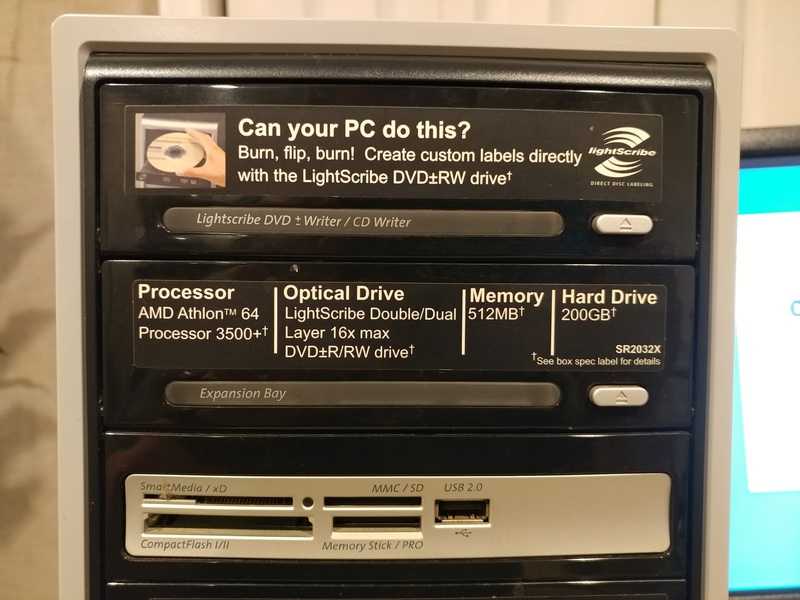 This computer back then was like lower-mid range computer. 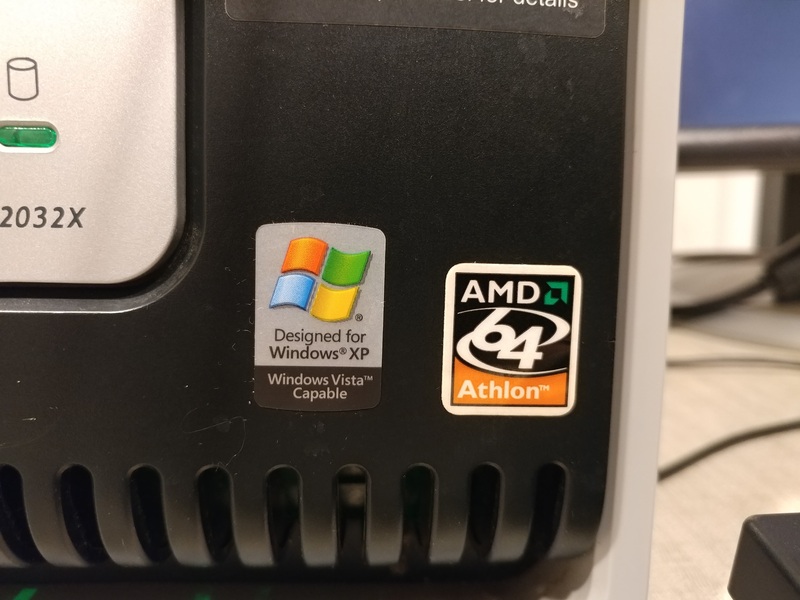 The Athlon 64 had an advantage over other processors, especially in that is has the 64 bit extension. The computer has a DVD Litescribe drive, which is very nice, and there are 5 USB ports in total on the computer. There is one headphone jack in the front. There is a media card reader in front, which is very useful. The case has lots of ventilation. Getting into the case is very simple, with one screw. The case overall is pretty well built, with durable plastics. I finally decided to install Windows 7 Home Premium 64 Bit, using a old product key. What a chore it was! Rather than installing and forgetting, like with Windows 10. I had to install a series of updates, in order for Windows 7 to actually update. Without this, Windows 7 will hang and never update for hours. For instance, I had to install a prerequisite patch, then the convenience rollup, and then the update client. After getting Windows 7 fully set up. For a 12 year old computer, it runs surprisingly well, albeit a bit slow. Internet browsing is decent, doing office work is fine and doing simple tasks are without a hitch. 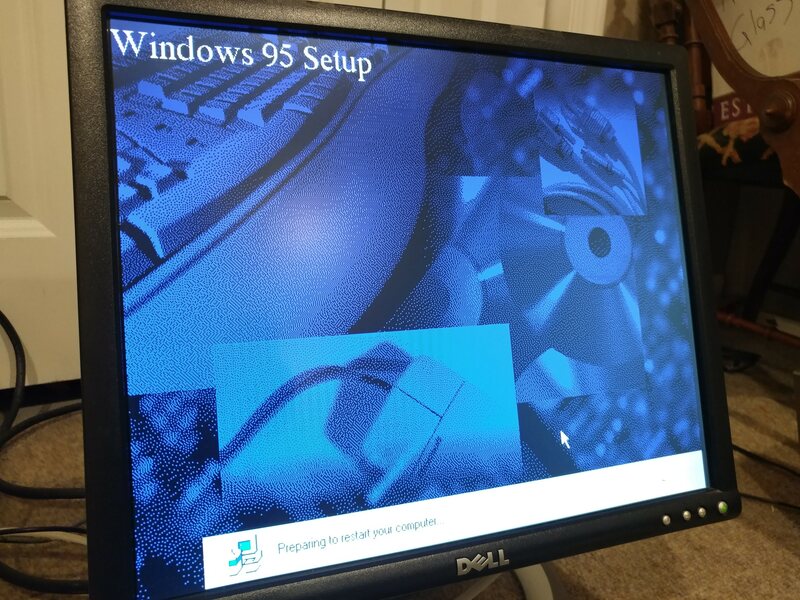 Overall, for a 12 year old Windows XP computer. The Compaq Presario SR2032X, is not a bad computer, for back then, and even now, with the right amount of upgrades! I wanted to report. There was an audio issue in Windows 10, with the Dell XPS 8500. When stopping music or like a YouTube video, and then resuming. The audio would be super loud, and distorted. Adjusting the system volume would return it to normal volume. Now after installing the creator’s update. The audio issue seems to be fixed for now. I wanted to suggest spam prevention measures. I think people should have enter a valid phone number and receive a code, where they must text it back. This way, spammers will be stopped dead in their tracks before they register. Also, I think you should have a picture collage in the registration process, where “people” will have to select a specific object within the picture. Yesterday, I acquired a 1992 Northgate OmniKey Ultra keyboard, for free. The only caveat I had to drive 1 hour and 10 minutes to get it. It was totally worth the trip. Back then in the 1980s, and 1990s, many keyboards were mechanical or buckling springs. As a result, they were great to type on and offered nice tactile feedback. 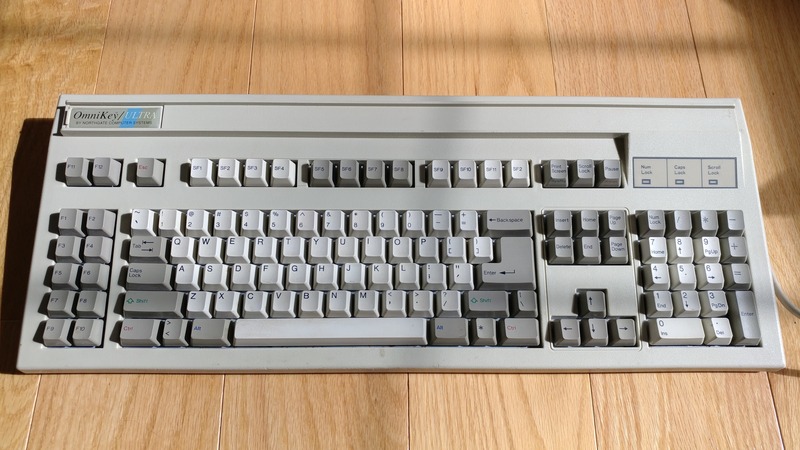 Keyboards back then were mostly beige or white, and many were built to last. 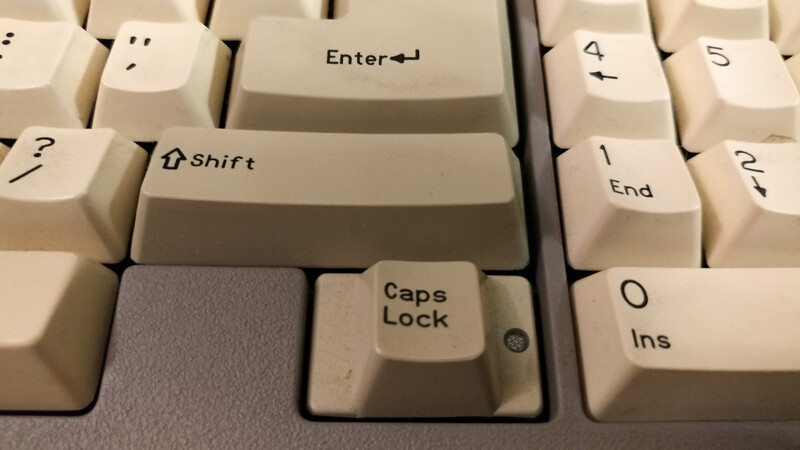 Eventually, keyboards started getting rubber dome switches. While these are fine to type on, in my opinion, they are not nearly as great as mechanical or buckling spring switches. 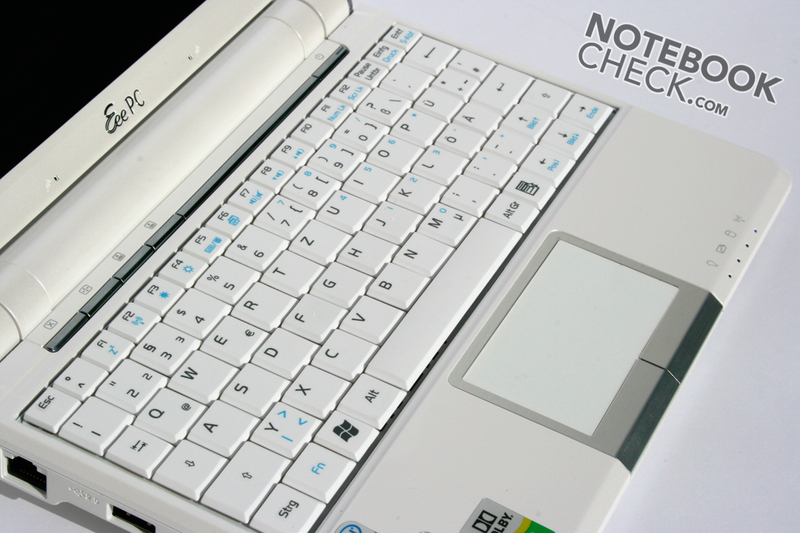 The OmniKey Ultra keyboard was produced by Northgate. Northgate was a mail-order based company that produced quality computer systems and computer accessories. Here is a brief overview of the Northgate Omnikey Ultra Keyboard. The OmniKey Ultra is extremely well built and solid. The body is a hard-ish metal, and feels very tough. The OmniKey Ultra is painted a white color and features grey and white keys, like most keyboards from the era. It has big rubber feet on the bottom to hold the keyboard up. 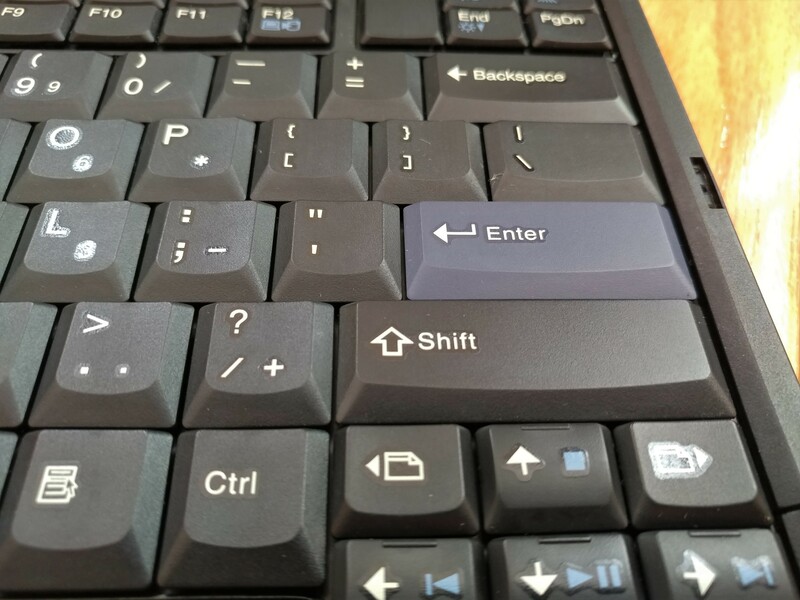 The function keys are on the left side of the keyboard. There are Special Function (SF) keys on the top, I believe you can program. The OmniKey Ultra features “White Alps” switches, and are really a joy to type on. They feel and sound similar to the Outemu Blue switches I have in my modern, mechanical keyboard. The “White Alps” switches in the OmniKey Ultra are however superior. The Omnikey Ultra keyboard uses a PS/2 to DIN connector type cord. 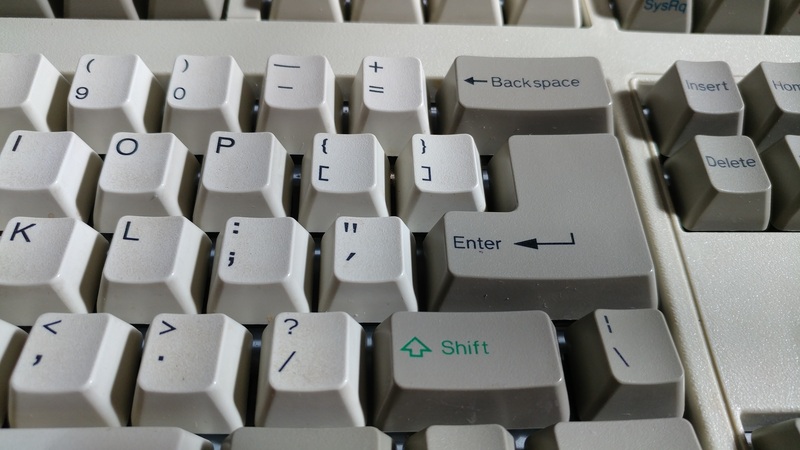 You can retro fit the OmniKey Ultra keyboard to work on a modern computer with a DIN to PS/2 and then a PS/2 to USB adapter. The Northgate OmniKey is an exceptional, and well built keyboard. 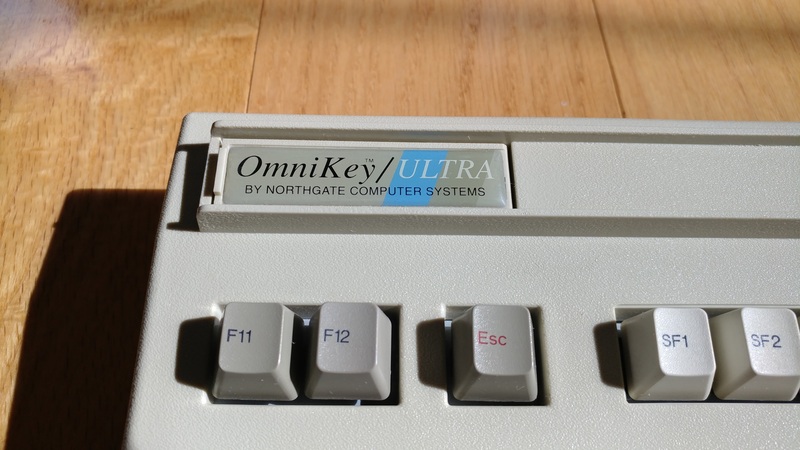 The OmniKey Ultra, and the Northgate OmniKey series, were one of the best keyboards made back then, along with the IBM Model M series. If you ever come across a Northgate OmniKey keyboard that’s reasonably priced or even free, I highly recommend getting it! Rest in Peace Windows Vista!!! Today, extended support for Windows Vista has officially ended, for whoever is still using it. Windows Vista was an ambitious and advanced operating system, that took many years to be developed. Many of the technologies and the foundation in Vista, eventually evolved into what we have today, Windows 10. What is your favorite Windows developments or builds? Mine is Windows Longhorn, because it was such an expansive project for Microsoft. My other favorite is Windows 7, slimming and improving what was Vista into something great. I also like the Windows 8 development because it was the transition from the traditional desktop Windows, into more modern Windows. Windows 8 brought, reset this pc, deeper cloud integration, faster performance, and the ability to use Windows really well on a tablet PC. Move over Dell XPS, Lenovo X1 Carbon and Macbook! Yesterday, I acquired an amazing piece of technology. A laptop smaller than any laptop today, and is still a fully functioning computer. 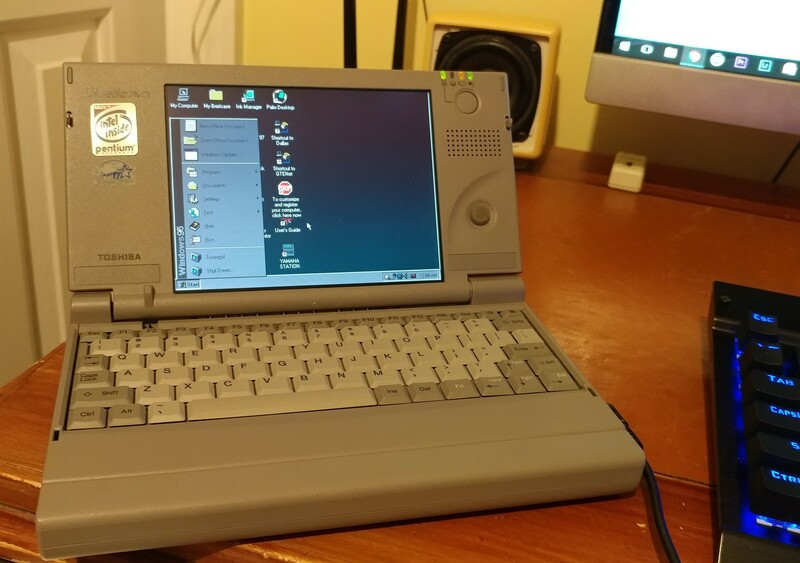 A Toshiba Libretto 70CT. The Toshiba Libretto is a bit bigger than the Nintendo DS. You can carry it around in your purse, coat jacket or even pant pocket. It is extremely portable, and well made with hard plastics. 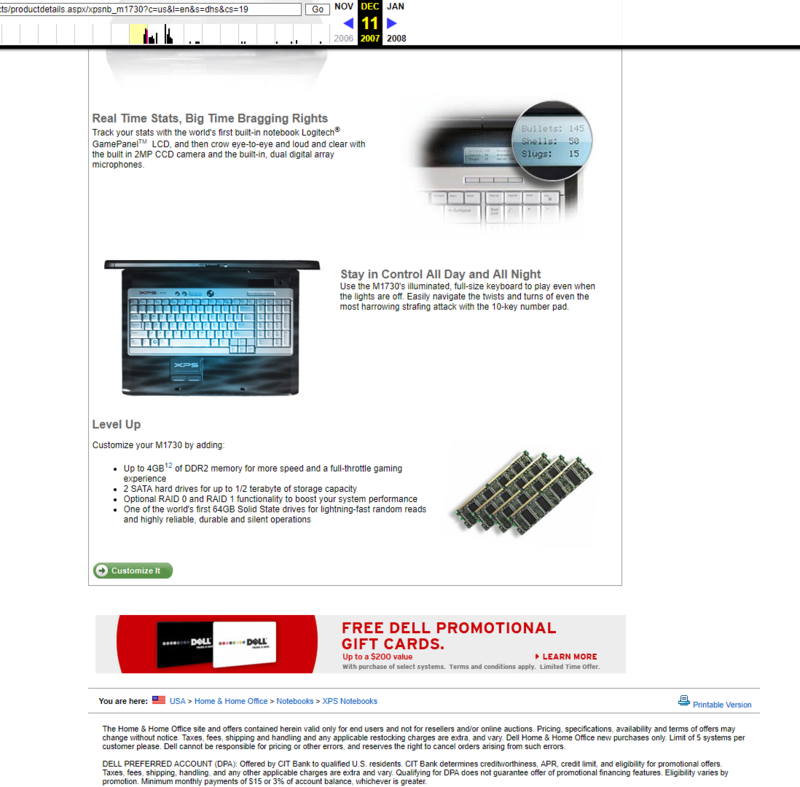 It features a trackpoint on the display for the mouse and buttons on the lid for left and right click. The Libretto came with a docking station to allow other devices to be plugged in, like a floppy drive. The Libretto features a PCMIA slot to plug in like a modem. The battery in the Libretto can be easily swapped out. The Toshiba Libretto 70CT, has a full Pentium MMX processor, 32MB of RAM, 1.6GB HDD and 1MB of video and can handle any task thrown at it, from word processing to some gaming. It is amazingly robust for such a small computer from the 1990s. The display is 6.1" big and has a 640x480 with True color and the display looks very nice! 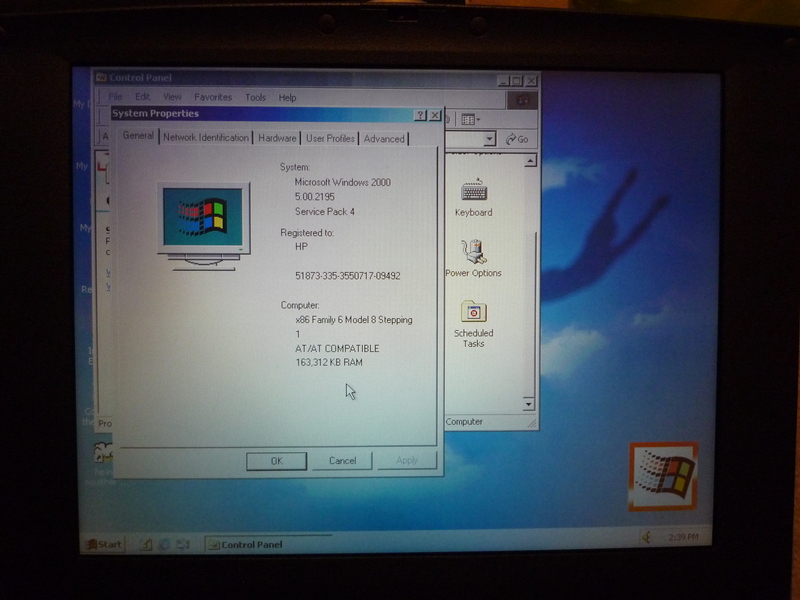 The Libretto 70CT comes with Windows 95 and has all the included preinstalled programs that come with Windows. My Libretto has a ton of software included with it like Microsoft Office. The Toshiba Libretto 70CT is amazing computer for the 1990s and is still amazing today! 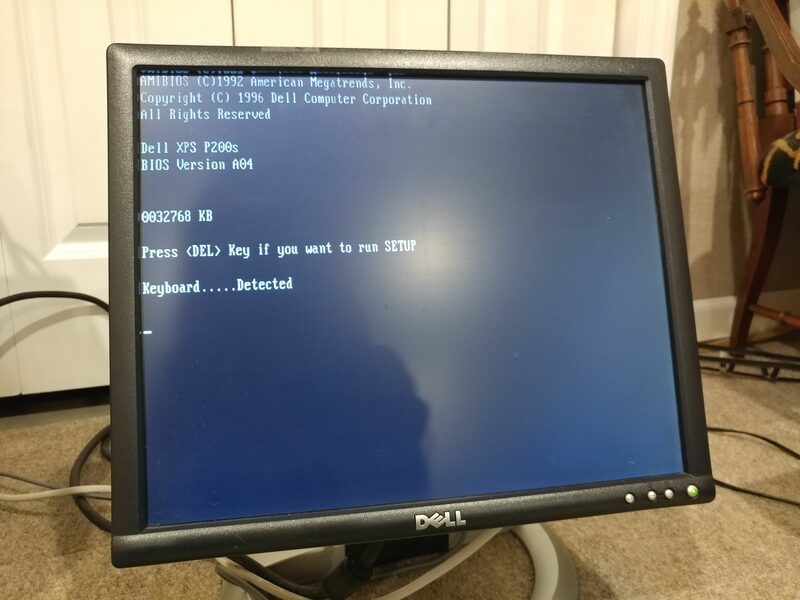 I noticed secure boot is turned off in my bios. It may have been from when I upgraded it from Windows 7. Should it be turned on? Is there any cause for concern, with it turned off? I read secure boot prohibits unauthorized operating systems and malware like root kits from being installed. How did you first find Paul Thurrott? How did you first come across Paul Thurrott? I found Paul, from Windows Longhorn via Winsupersite, and Windows Weekly. After that, I now regularly visit Thurrott.com for all the Microsoft and other news! I am looking to buy a new keyboard and mouse, to upgrade from a Logitech K520. It is a nice keyboard and mouse combo, however, the signal is constantly cutting out and freezing. I am looking for a keyboard and mouse to use for gaming, and general purpose computing. I am wondering what everyone here would recommend and/or uses? I have a Dell XPS 8500. I have been experiencing audio issues in Windows 10. When I am watching a YouTube video, pause it, go away to another tab, and then come back. The audio is super high and distorted. Then I press the volume on the keyboard, and the volume becomes normal again. This happens when using headphones also, like in Microsoft Groove. The audio quality using headphones, is not as good as it should normally be. I wanted to share; someone on Youtube recreated the Smash Mouth “All Star” song, using Windows XP sounds! 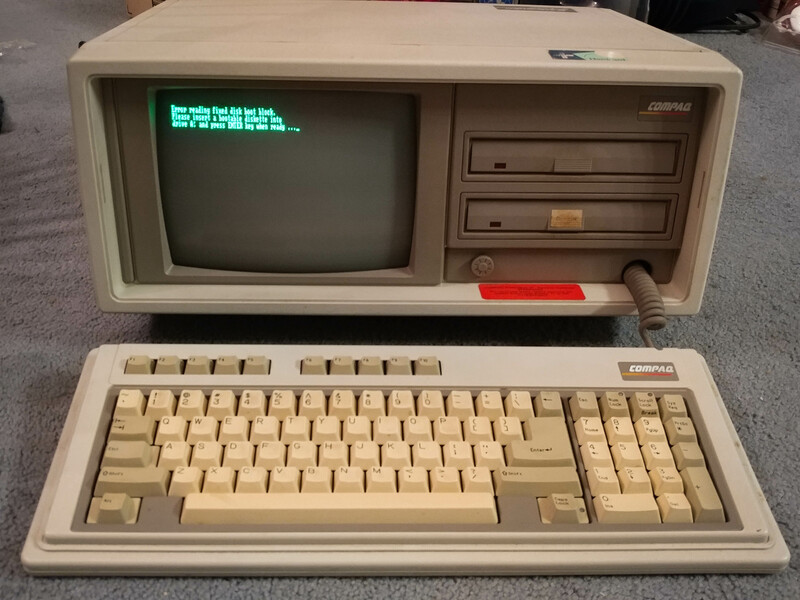 Today, I bought a 1986 Compaq Portable II computer. It originally cost $3,500, but I paid a mere $45. During the late 1980s, portable computers were evolving into more laptop forms. The IBM Convertible PC was a good example of it. The Compaq Portable II is very well designed, for a portable PC. It features a fold out keyboard with a recessed cord. It has a power cord compartment which doubles as a stand in the back. There are two doors on the side that slide open, one for the power supply and the other for IO ports. There is a nice faux leather handle, to carry the computer around. 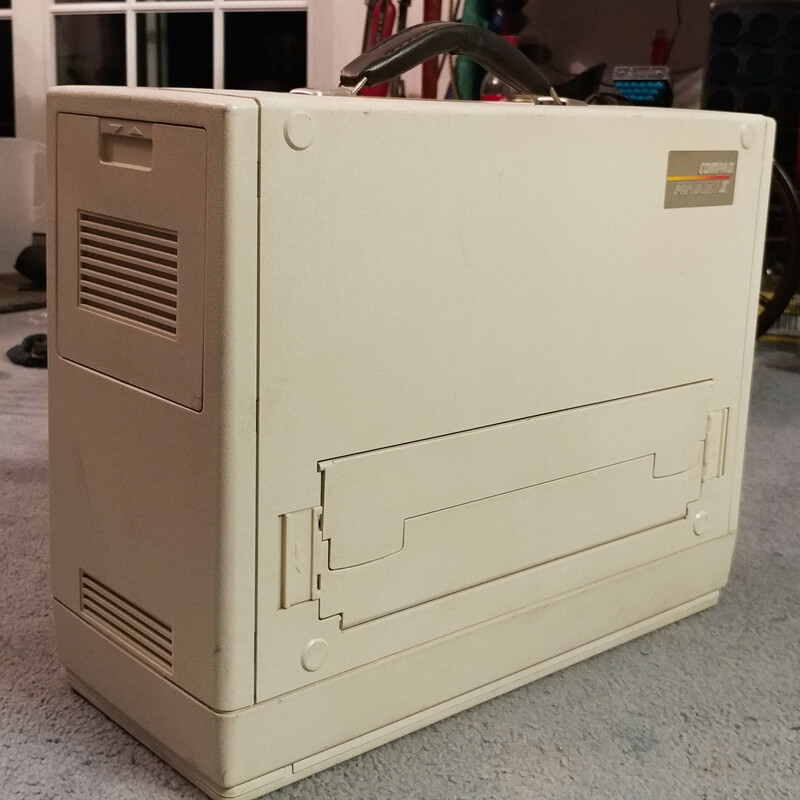 The Compaq Portable II is not too heavy, but weighs more than my desktop. 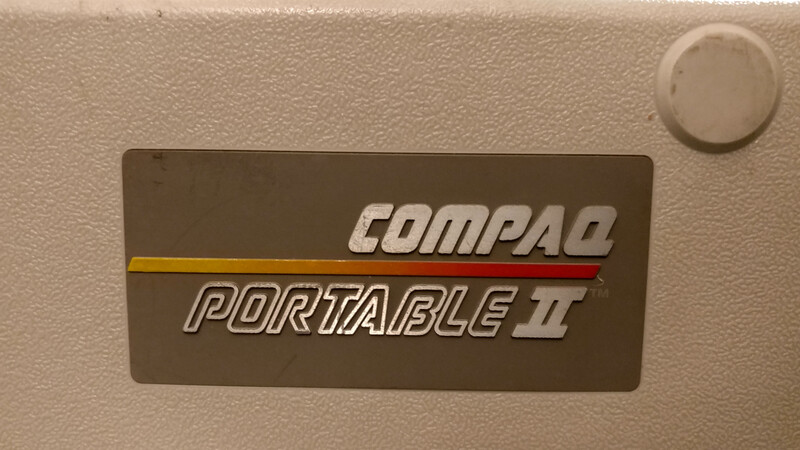 Photo of the Compaq Portable II open. Picture of it closed. You can see the compartment in the middle that holds the power cord and doubles as stand. There are several IO ports featured on the right side of the computer, for plugging in peripherals like printers. There are two 5.25″ floppy drives in the front. The keyboard on the Compaq Portable II is nearly full scale, and nice to type on. The Compaq Portable II has a 9″ green monochrome display. It is very nice and vibrant. It has 720×350 resolution for text mode, and 640×200 for graphics mode. The Compaq Portable II comes with MSDOS 3.1 and can run a wide range of programs. 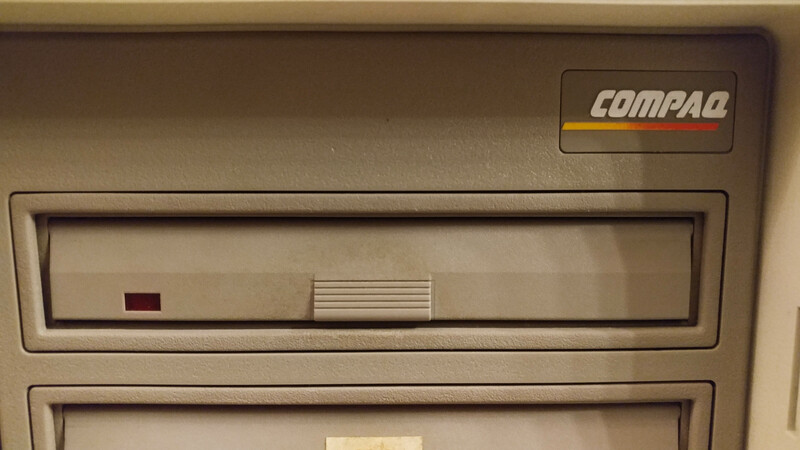 The Compaq Portable II boots up fairly quickly. I have not tested any program yet, as I don’t possess any or 5.25″ floppy discs. The Compaq Portable II is a pretty good portable computer for the time. It features many improvements over the original Compaq Portable, especially in size and weight. Best Methods to Stop Spam Calls? I recently upgraded to the LG V20 (Sprint), and got a new number as well. A day or so later, I began getting spam calls for some reason. I have never given the new phone number out. The spam calls are coming from different numbers, from different states. One from Minnesota, one from Washington, and one from Florida. Perhaps Sprint is selling phone numbers or apps are forwarding my number to spammers? 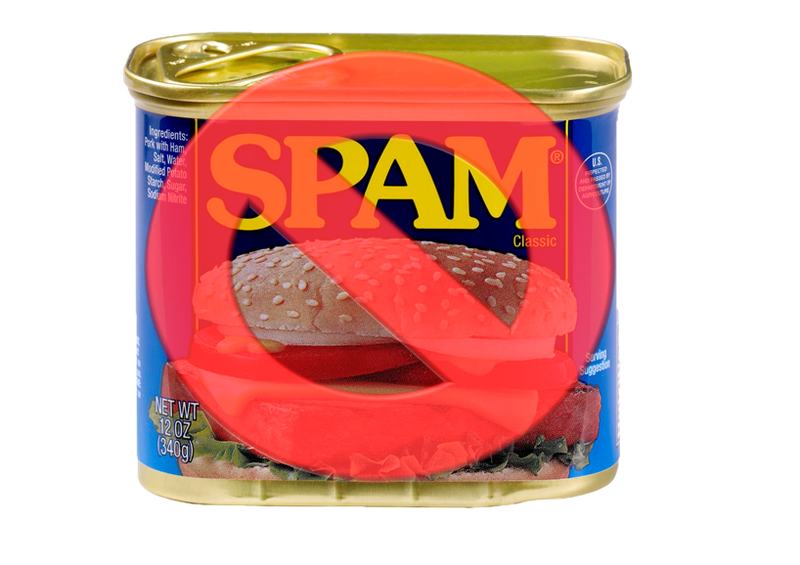 My question is; What is the best methods, apps, technologies to stop spam? What is everyone’s thoughts here on Windows Cloud, being a locked down version of Windows? Love it, hate it, frightened by it? I think it will be a free version of Windows, for everyone. People will have to pay to upgrade to a home or pro version. It will be apart of Microsoft’s new business model. I also think Windows Cloud could be the groundwork, for how future versions of Windows are. Where we install all apps, from the store. I think this is both a negative and positive thing. I think Windows Cloud will be a version for lower end devices. 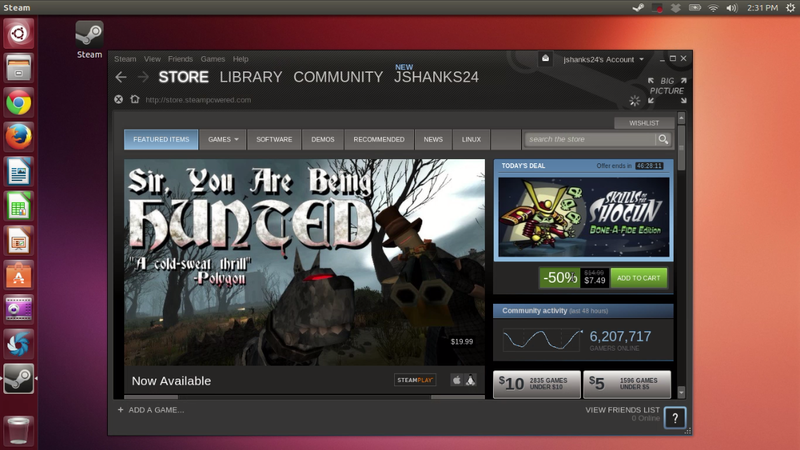 It would be absurd to have it on a $1500 gaming computer, that you can’t download Steam. Features you want to see in Windows 10? What features and other things, do you want to see Microsoft implement in Windows 10? 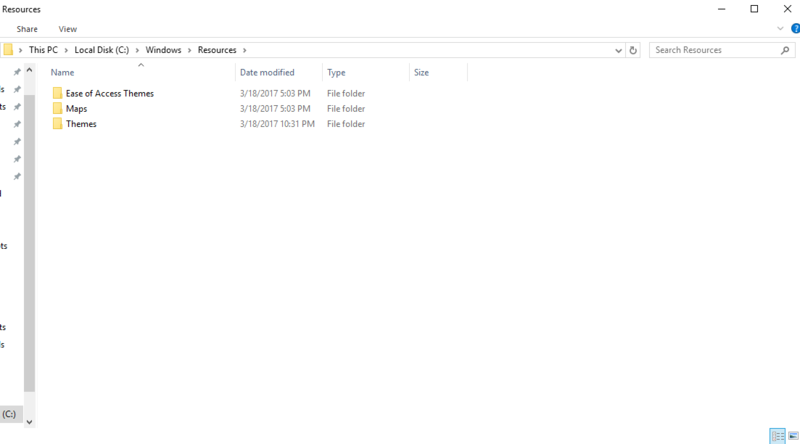 I would like to see a tabbed file explorer (big league), a copy and paste bin as well as universal copy and paste. 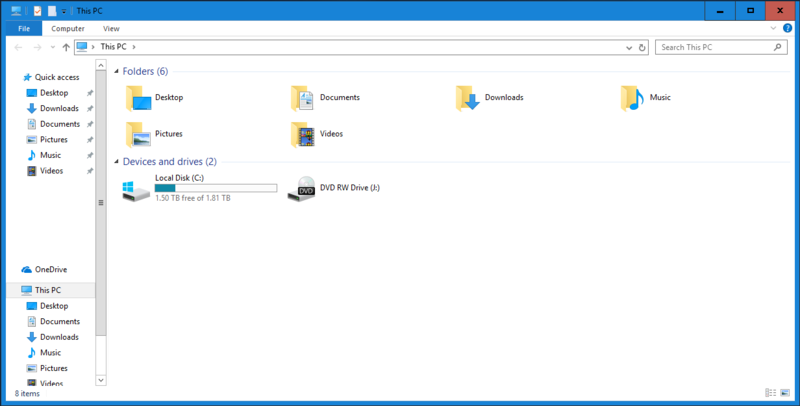 A complete redesign of the file explorer, and move away from Windows 8/7 style. 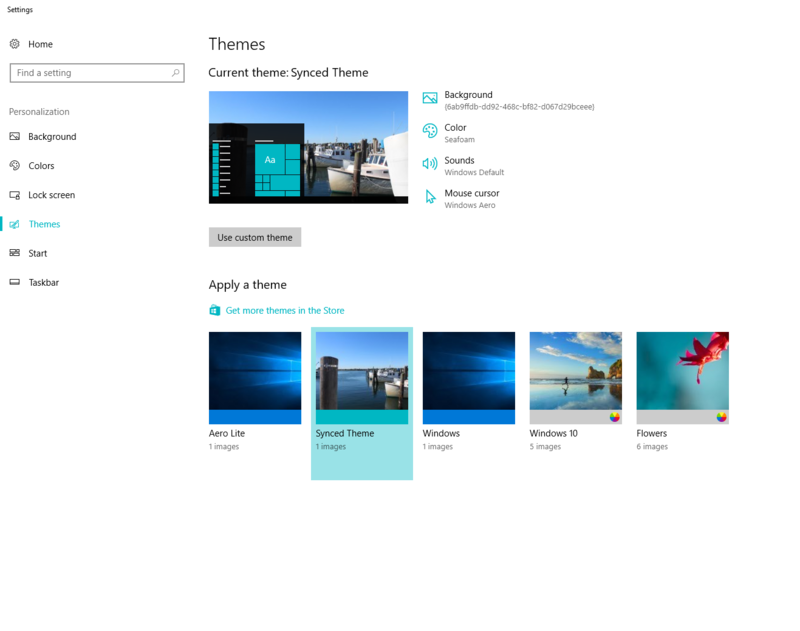 More customization, allow users to change the theme in Windows 10. 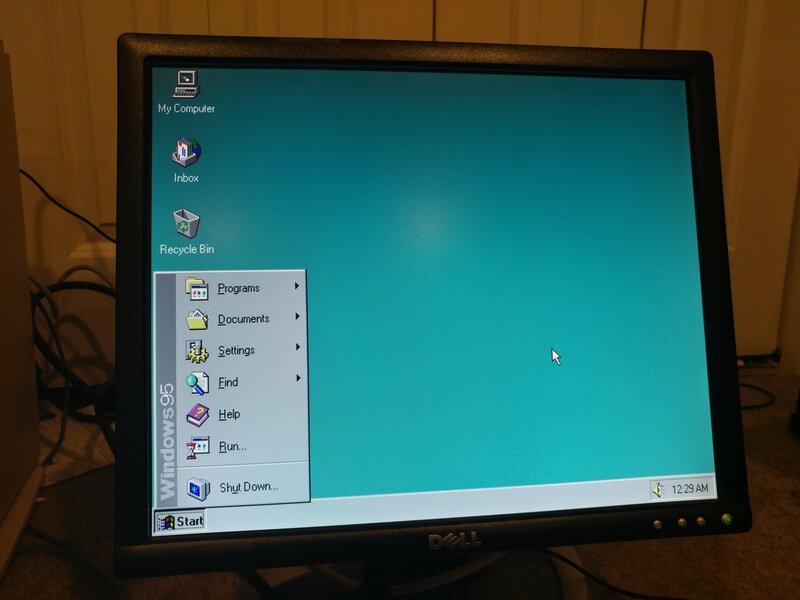 From a Windows 98 theme to even a Linux inspired one. More sophisticated, Windows 10 exclusive apps, like a photos app with better editing tools, and a revamped and more robust Windows Movie Maker. What was the first smartphone you owned? Mine was like a LG Optimus, which at the time was decent. Now it is just a dumb phone. Some apps still work, like Youtube. Logging into Google, doesn’t. I have been using the Craigslist website to sell and buy items, especially electronics for many years. It is a great free, selling and buying website. I have found many great things here and sold many things as well. The major problem right now with Craigslist is, SPAM, and communication. Craigslist’s spam moderation is unacceptably bad. So bad, it can push one away. Craigslist uses a method of filtering spam, by users reporting it. If enough users report an item, it is removed. Although this method works, on occasions. I have seen so many dangerous, spam sale posts, stay up for weeks and sometimes months. Craigslist needs to overhaul it’s spam moderation, radically. Additionally, sometimes when trying to sell an item, Craigslist bizarrely puts your item into a back burner, and doesn’t post it publicly. Apparently, an item that says it’s been posted, but isn’t public, sits there until it is flagged. Perhaps Craigslist needs to hire moderators or have an algorithm for detecting spam in place. Or perhaps, have users verify their identities prior to signing up to post sale posts. It is not acceptable, to have a public site, with a piss poor spam filtration system, that does not work. As for communication, the Craigslist website, is terrible as well. Communicating with sellers is hit or miss. The ways to communicate are inconsistent. Sometimes, there is a phone number, sometimes there is an email. Sometimes, there are no contacts at all to contact sellers. Craigslist needs a major overhaul of their communication system and perhaps their own built in system, that does not rely on outside means, like phone number and emails. Overall, Craigslist is a great buying and selling site. Their communication and spam moderation system is woefully inadequate, and should be overhauled. What is your favorite version of Windows and why? Mine is Windows 7 (historical wise), because it pointed Windows in the right direction after Vista, and was one of the most solid OSs. 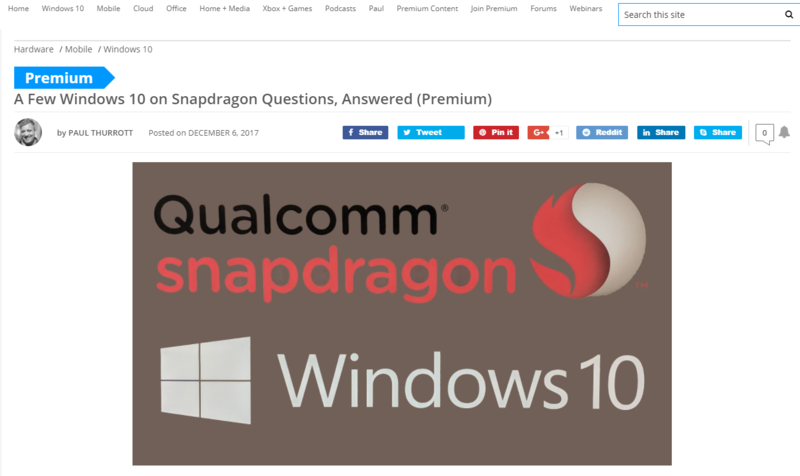 I also very much like Windows 10, because it’s modern, always up to date, and offers countless, performance and security improvements. Paul, I think you should invest in an RV. This way, you can travel and sleep at the same time! Flickr is undoubtedly a fantastic photo sharing site. It offers a large amount of storage, and is great for sharing photos with other photography aficionados. 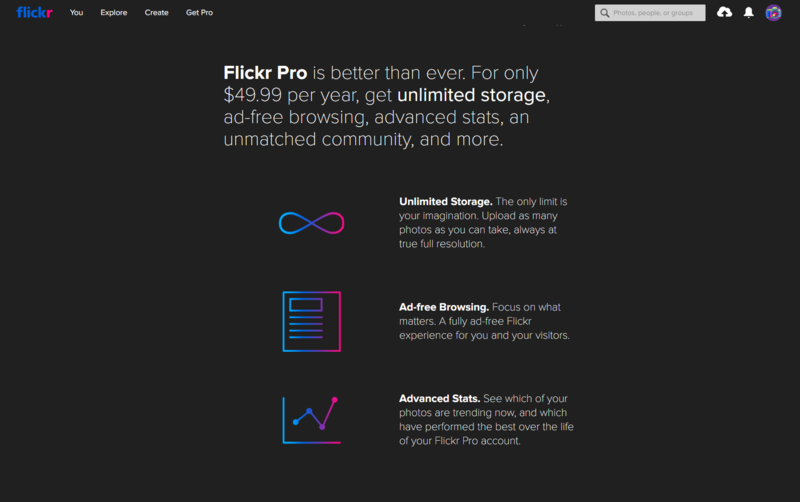 The only problem with Flickr right now is it is still owned by Yahoo. For anyone who is using Flickr like me, regularly. I would suggest changing your password, of course, immediately to a strong password with symbols, numbers, and lower/upper case letters. Additionally, enable 2 step verification. This way, you will need to verify yourself using your phone, to login. I think Yahoo, SHOULD spin Flickr off and sell it to either like Microsoft or Google. It is again, an excellent photo sharing site, and I continue to use it today. It is disappointing it has to be connected to an irresponsible company and one that’s an anachronism. What do you think? Are you still using Flickr and plan to keep using it? Do you think Flickr should be spun off? What are the oldest computer(s) you have? I have a 1999 HP Omnibook XE2 with Windows 2000. 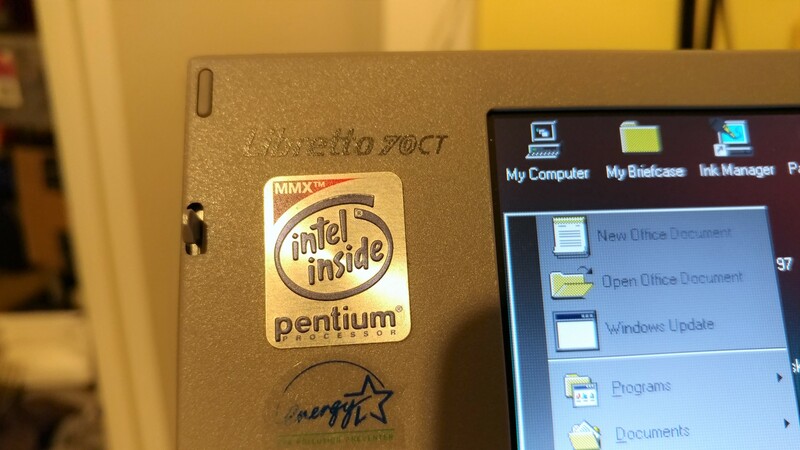 It has a Intel Celeron Processor, and 160MB of RAM. 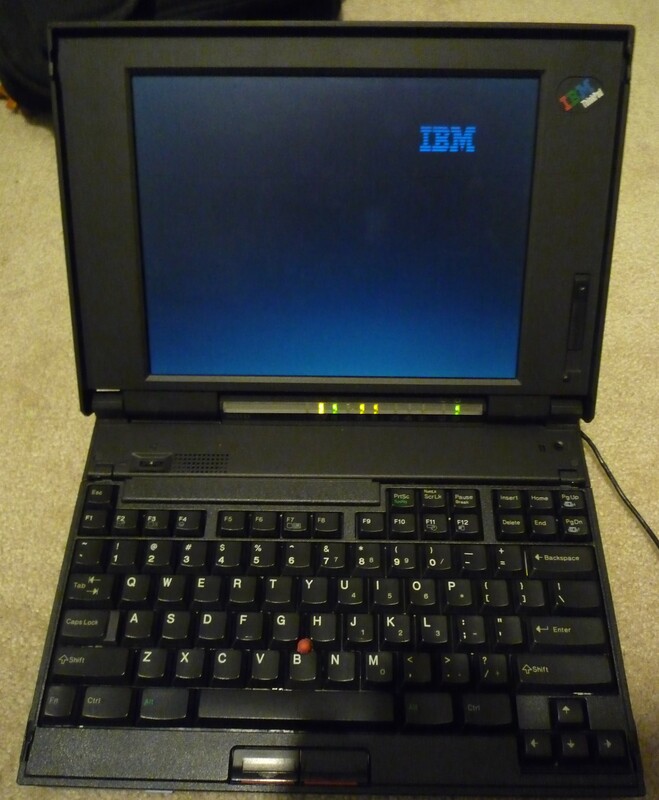 I have a 1996 IBM Thinkpad 365XD, with Windows 98, an Intel Pentium processor, 24MB of ram. 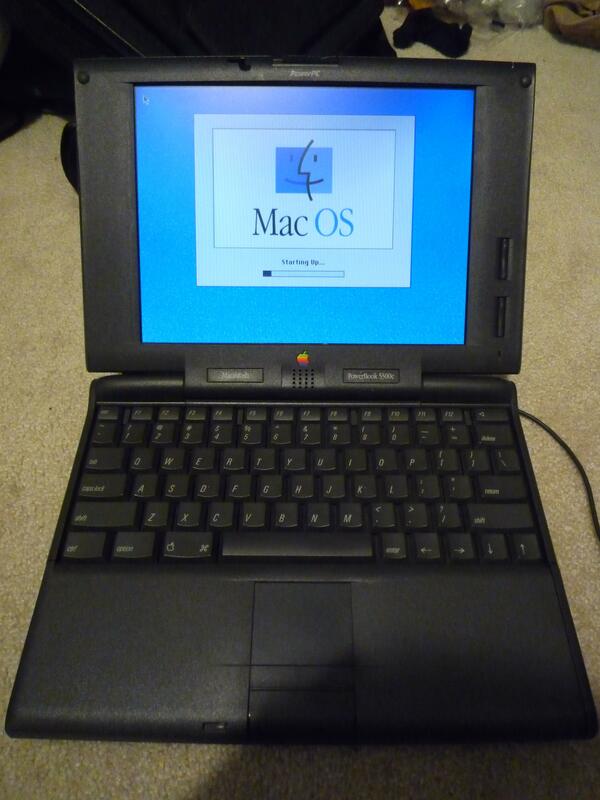 I have a 1995 Apple Powerbook 5300C with a PowerPC processor and 32MB of ram. 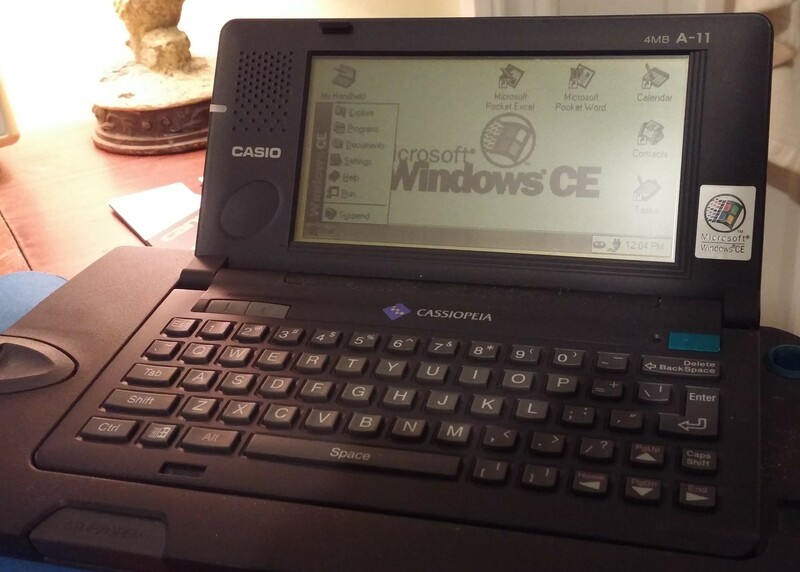 I also have a Casio Cassiopeia CR-A10 Windows CE pocket PC. I am not sure if anyone has noticed. Microsoft has significantly updated the Windows Photos app with a new drawing feature, a redesigned editing function with new slider options for like brightness, clarity etc. Also, it appears there are new navigational buttons as well. Has anyone here experienced the Windows Photos app crashing recently? 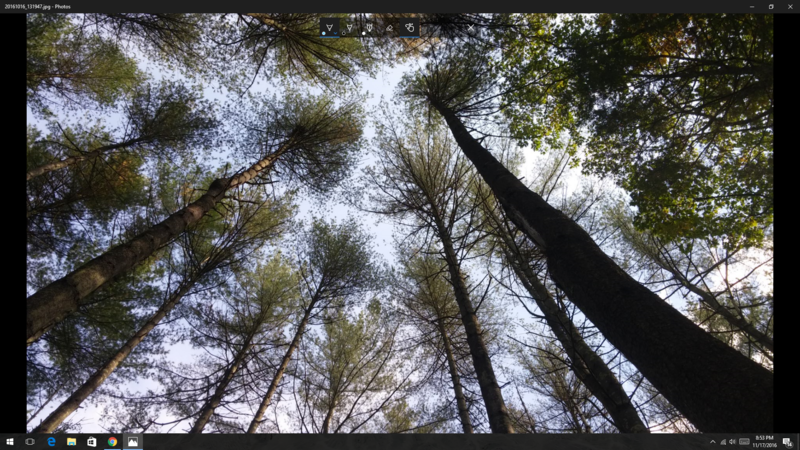 When I try to edit and crop a photo, the Windows photo app closes immediately. I tried restarting Windows, but with no luck. I am using Windows 10 1607 (Build 14393.321). I installed a Nvidia Game Ready driver 375.57 yesterday, but I am not sure if that is causing the issue. I also submited the problem in the Windows feedback app. There are 21 days until election day now. Who do you think is going to win? Hillary Clinton, Donald Trump or Gary Johnson? Who here will be watching the vice presidential debate tonight, at 9:00PM? Who do you think will win? Trump says, he will be live Tweeting during the whole thing. So this will be interesting. Windows 8 Consumer Preview arrived nearly 5 years ago. When I saw it, I was pretty surprised at how different it was. It felt like Windows 7, but with another shell added on. When Windows 8 came out in 2012, it created a divisiveness in the Windows community. Many people hated it, and stuck with Windows 7. Some loved it, and said they will never go the desktop again. There were some people who assimilated and tried adapting using programs like Start8. As brash as Windows 8 was with the schizo dueling interfaces. It was technically a huge leap forward for Windows. 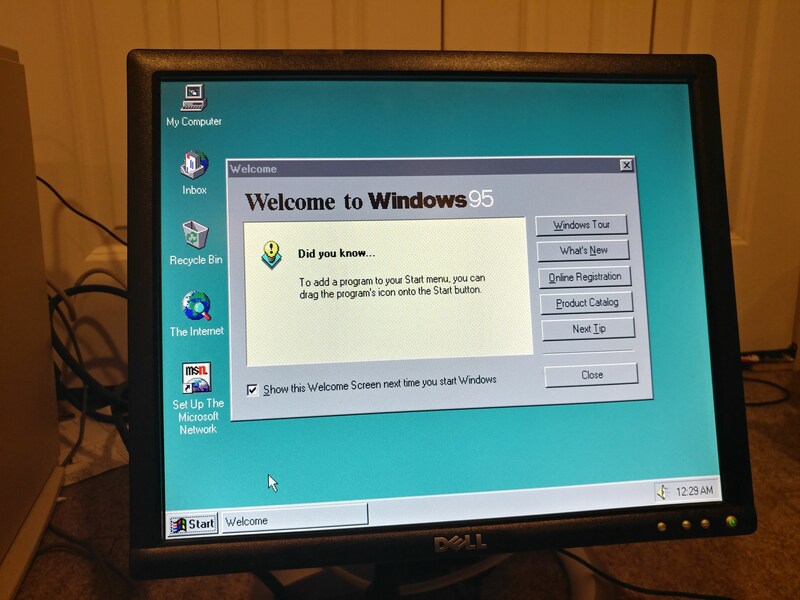 It brought Windows into the modern age of computing. First off, Windows 10 brought in modern apps, which cleanly install and uninstall, and don't have acccess to everything in Windows. 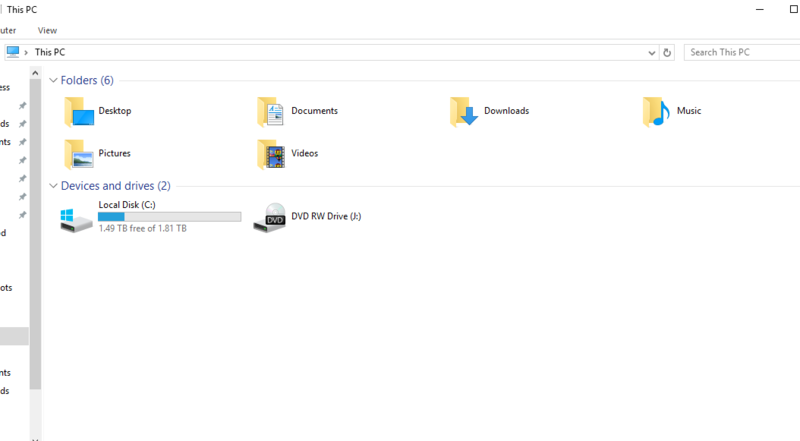 Secondly, Windows 8 introduced a reset option, which allowed users to reinstall Windows without the need of a DVD. Microsoft also brought out significant system performance improvements in Windows 8. Before Windows 7 really needed 4GBs of RAM, but could run on 1GB, and a fast dual core processor. 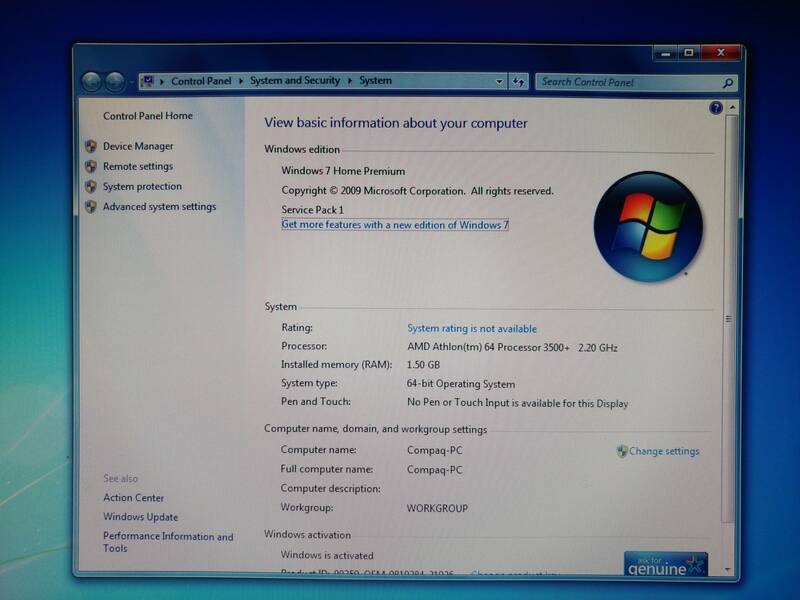 Windows 8 however, could run on 1GB of ram with a lower powered processor. It ran especially well on 1GB using modern apps. Windows 8 also brought new Directx technologies and many other technologies that made Windows much improved. Windows 8 also introduced much improved security. For the first time, Windows included anti-virus, Windows Defender. Windows 8 also added other security features like secure boot. Windows 8 also elicited new forms of computers. They ranged from 10" tablets, to 2 in 1 laptop computers, small 8" tablets, laptops with lids that flip 360 degrees and more. I would say, Microsoft's tablet, the Surface Pro, inspired it's competitors to release similar things. Windows 8 despite being divisive and different, brought out many positive changes. Without it, we would not have Windows 10, and the different forms of computers we have today. We would arguably still be using the Windows 7 desktop. 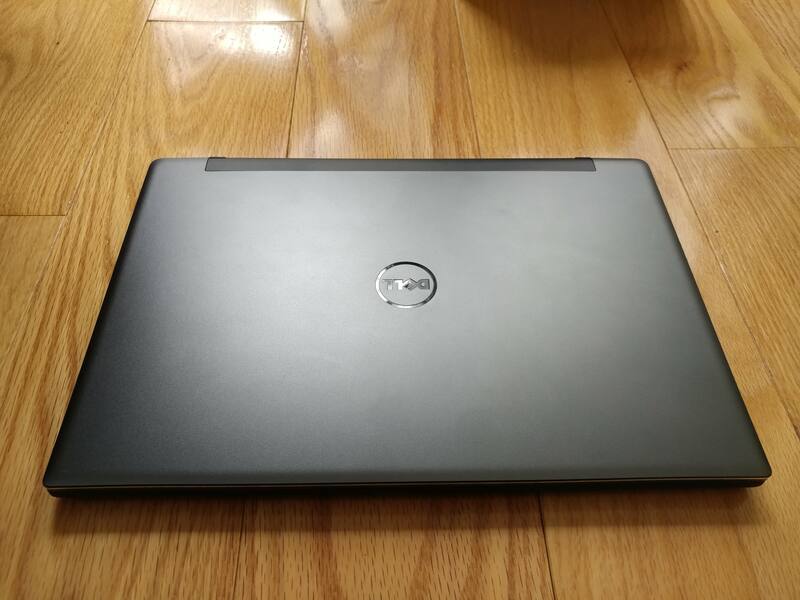 Recently I bought a used Dell Chromebook 11 3120, in anticipation of Android apps being released. I am a mainly Windows user, and I was intriqued by the merging of Android, and Chrome OS. The Dell Chromebook 11 3120, isn't going to win any beauty pageants anytime soon. It is a all black and grey design, which I like because it's business like. The materials are high quality plastic, and feel like they will stand up to a lot of abuse. Dell says the Dell Chromebook 11 is military spec rated and should stand up to water, dust, drop impact etc. It also comes with a built in activity light designed for students in a classroom environment. 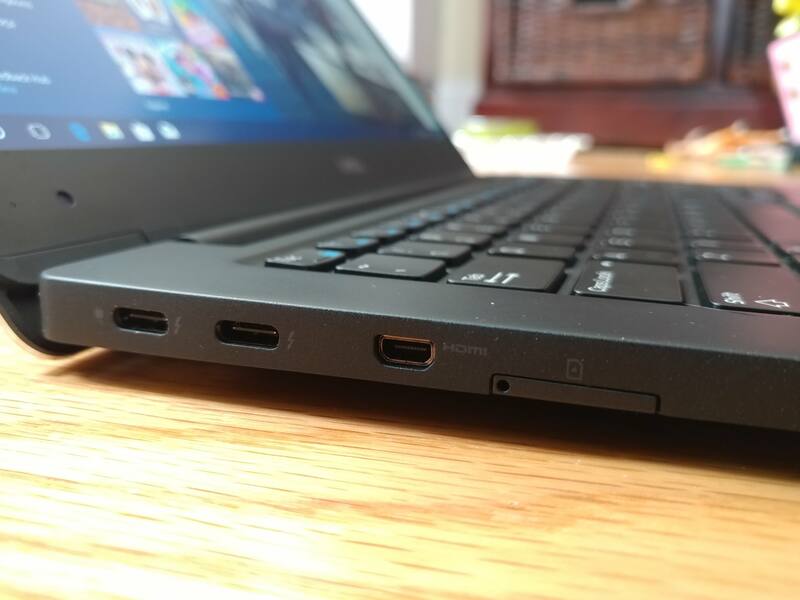 The Dell Chromebook 11 is pretty light, weighing under 3 pounds, and is pretty thin as well. 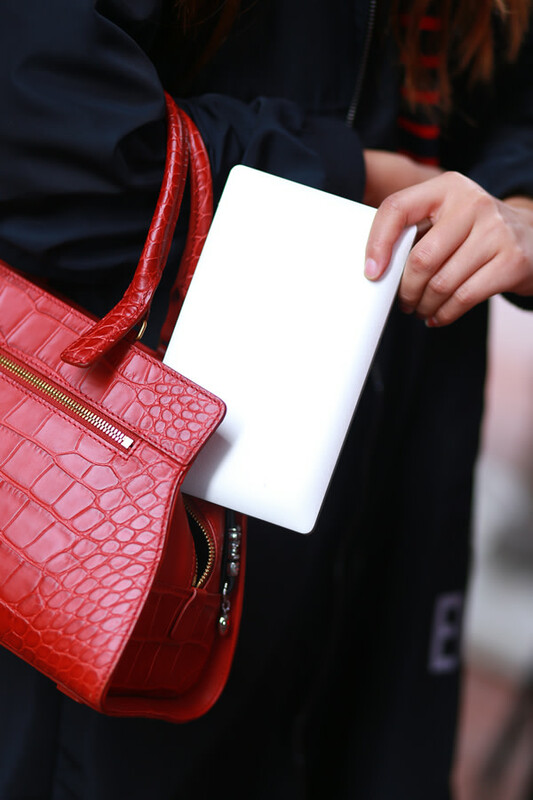 It is light and thin enough to be carried around comfortably. The Dell Chromebook 11 is pretty snappy. When you open the lid, it turns on instantly. The model I have has a Intel N2840, which is like a trimmed down i3. It has 4GB of ram, and a 16GB of storage. The speakers sound pretty good. The keyboard is alright to type on, and is good for especially student typing essays. 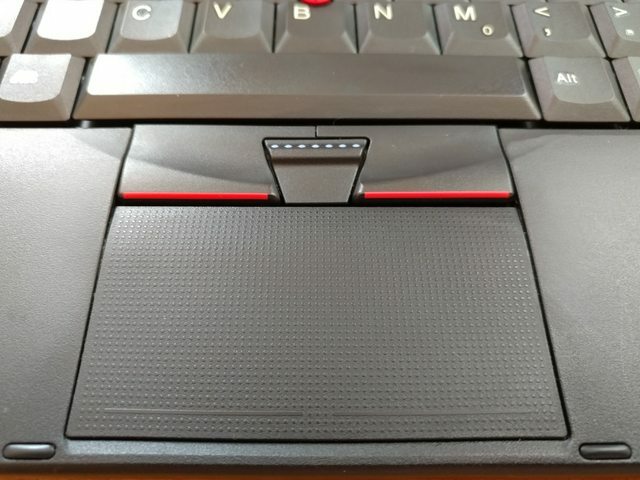 it is nowhere near the quality of my Lenovo X1 carbon's keyboard. The display on the Dell Chromebook 11 is a 1366x768 TN display. It is good for all-around things like web browsing, etc. However, if you are looking to use it for photography, you'll need to go elsewhere. The Dell Chromebook 11 3120 comes with 2 USB ports, 1 HDMI port, audio jack, an SD card reader and a Kensington lock, which is nice. The Dell Chromebook 11 comes with Chrome OS, that is just the Chrome browser basically, but with added system functions. The Dell Chromebook comes with a toggle for the activity built in light that's designed for students for the classroom. The light features 3 color lights, one for students raising their hand, question, and discussion. The Dell Chromebook 11 3120 is configuable on Dell's website, and starts off at around $220 for the 2GB RAM model, and goes up to around $300 for the touchscreen IPS model with 4GB of ram. The Dell Chromebook 11 3120 is an excellent, solid Chromebook for students, business users or anyone seeking a second computer. If you however require specific Windows software and do alot of offline related work, you will need to buy a Windows laptop. I apologize for the spelling and grammar mistakes in the post. There is no edit function available currently. I a longtime Windows user, and have used Windows since Windows 3.11. I recently tried out several popular Linux distrubutions recently, to see what they were like. I tried Ubuntu, Fedora, Debian, Elementary OS, and Linux Mint. I was very surprised at how solid some were. Linux was always the OS I had on a flash drive in case my computer had issues. Now it seems like an OS I could dual boot with Windows. 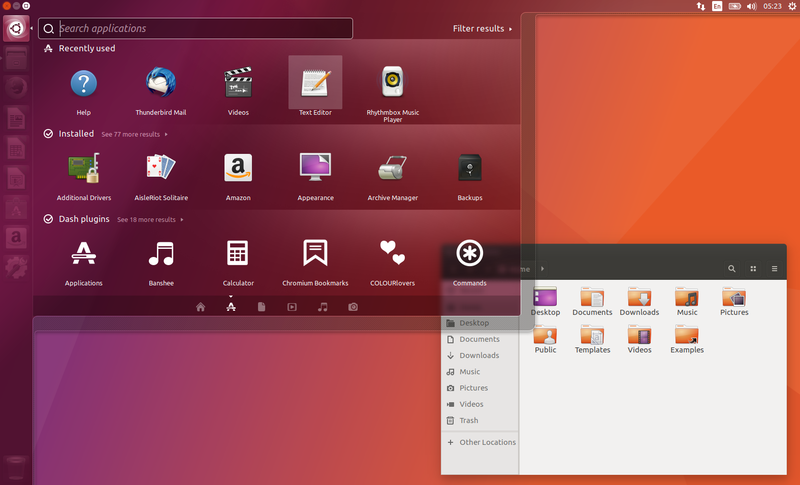 Here is my thoughts on the different distros Ubuntu 16.04 Pros Works out of the box Offers many great software Stable Scales reasonably well on a Hi DPI display Cons Interface is subjective Maintained by a company Fedora 24 Pros Cutting Edge Linux technologies Includes newest features Very secure Cons Not for people who want long term support. Not the stablest of distros Scaling in Gnome needs a lot of work. Debian Pros Very stable Great community support Cons Is not the most begginer friendly distro Some drivers do not work out of the box Elementary OS 0.4 Loki Pros Very good clean, easy to use user interface Excellent preinstalled programs Scales very well on a Hi DPI display Cons Epiphany browser isn't as full featured as like Firefox Linux Mint Pros Easy to use and familiar interface Works right out of the box Includes a wide range of free software Great for beginners Cons Not the best on a touchscreen. Overall Linux has matured and gotten to a point where I think it is comparable to Windows. It still have flaws and isn't as clean cut as Windows yet, especially having to use the terminal on many occasions. However, Linux distros like Linux Mint, and Ubuntu, are excellent and are good for those wanting an alternative OS to Windows or OSX. What games is everyone here playing? I am currently playing Half Life 2 again, and I forgot how great it was. The graphics look really good still. I am also playing Cities: Skylines, which is a excellent city simulation game. I am continuing to play Fallout 4. Sorry, what is after October 4th? Who here is watching the presidential debate tonight? Who do you think will win?